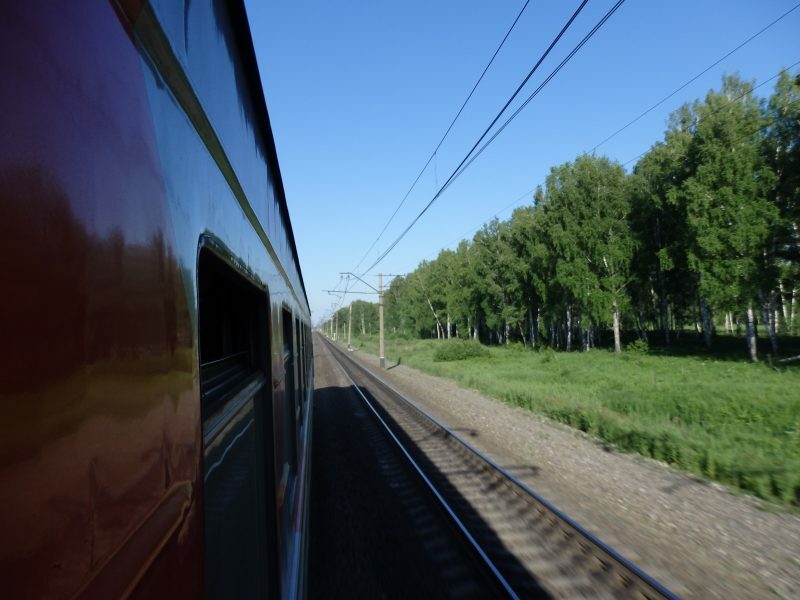 Travelling the Trans-Siberian Railway is something I’m really glad to have ticked off my bucket list. 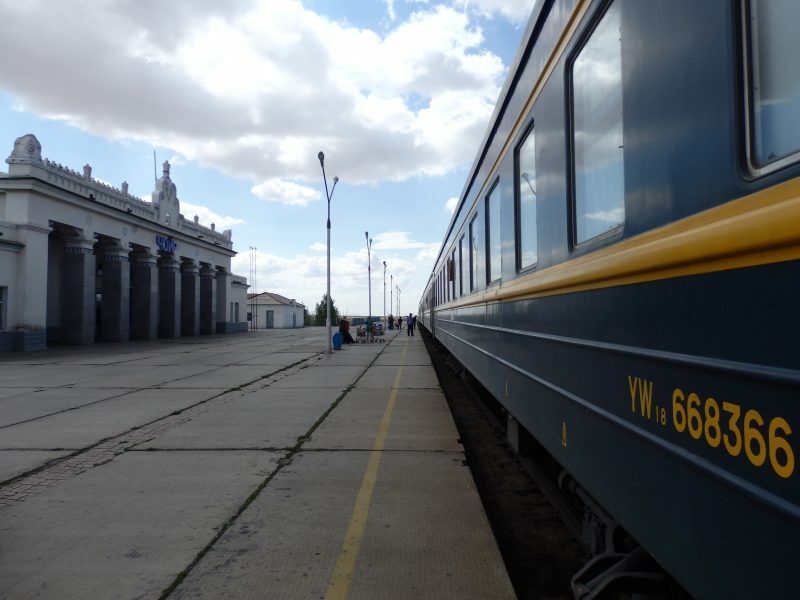 It was an eye opening experience, travelling for days across the vast expanse of the Gobi Desert, Siberia, and rural Russia, living on a train for days and making friends with complete strangers amidst vodka shots and random group photos. 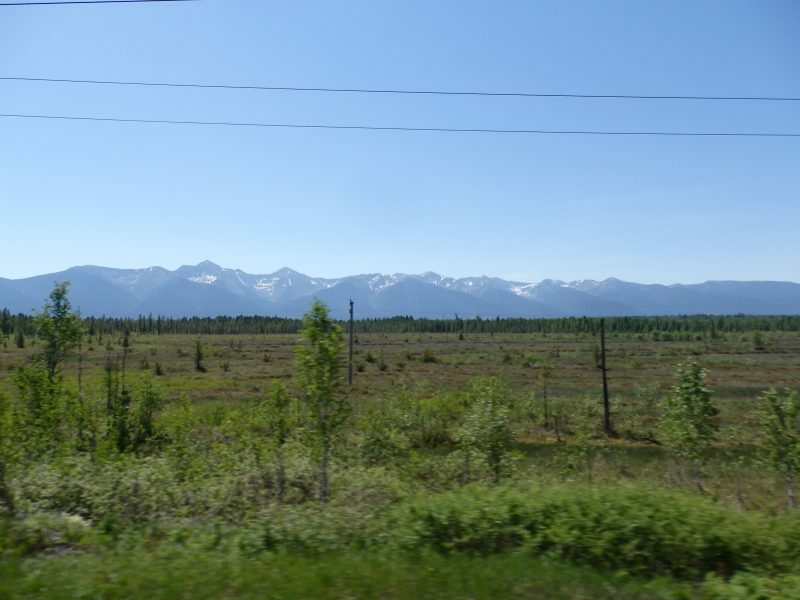 I made a few stops along the way, which I’d really recommend if you have the time, as Russian cities (and nature) are amazing to explore, and splitting your trip up will give you the opportunity to travel in platskartny, a truly Russian experience in itself. Posts on the other destinations along the way coming soon, and this post will be about travelling on trains, covering tickets, food, packing, and more. 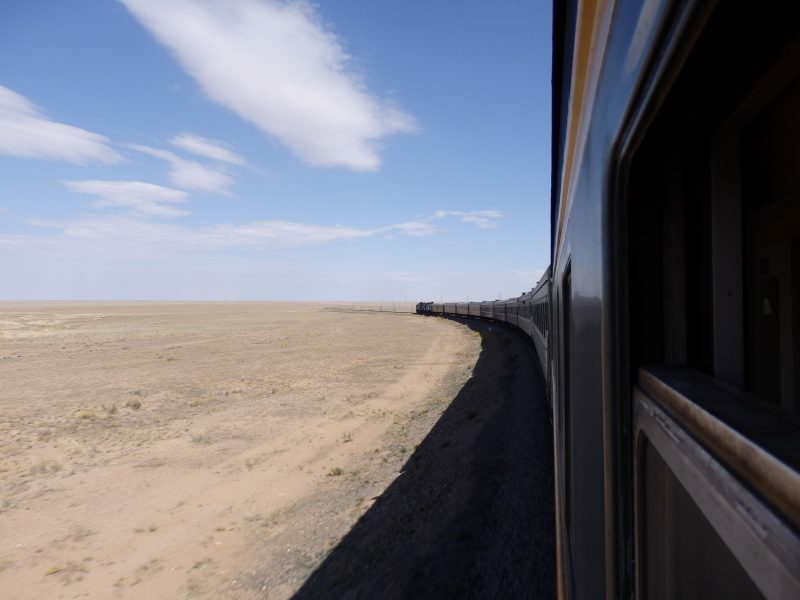 After four weeks travelling across China, got on board the Trans-Siberian Railway and not long after, chugging across the Gobi Desert. 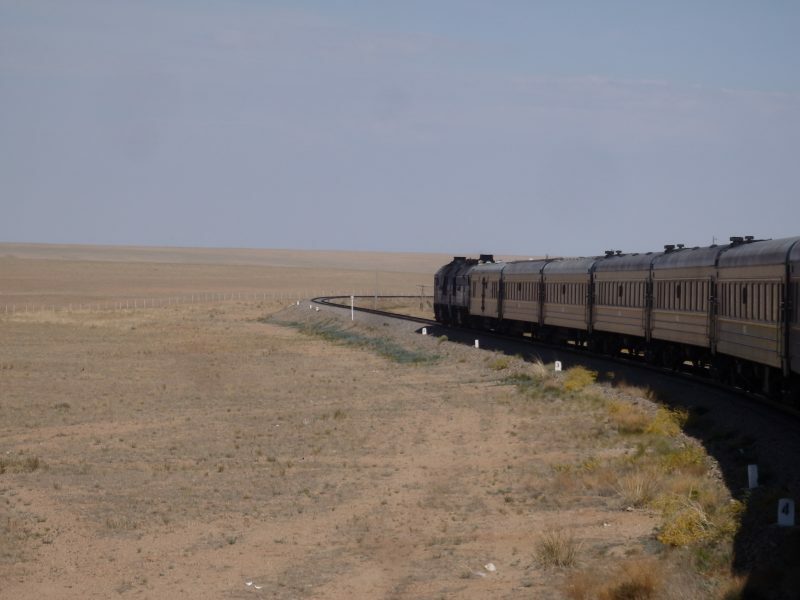 Continuing from my overland adventure from Singapore (across China) to Moscow, this Trans-Siberian leg was one I had been looking forward to for years. 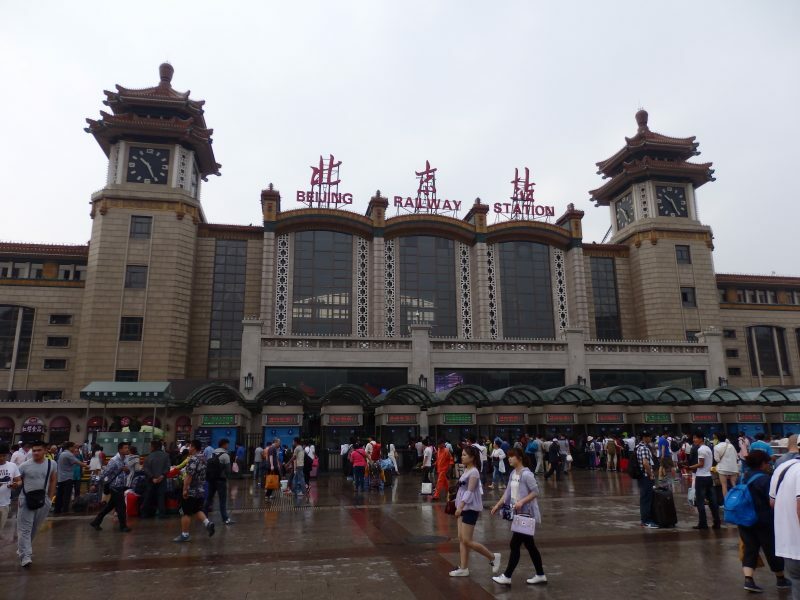 Beijing Railway Station, where my adventure in China ends, and a new adventure begins. It wasn’t too hard finding the right platform, the only one in the station where there were more non-Chinese than Chinese waiting at. As the gates finally opened, hordes of eager tourists (like me) surged towards the trains. 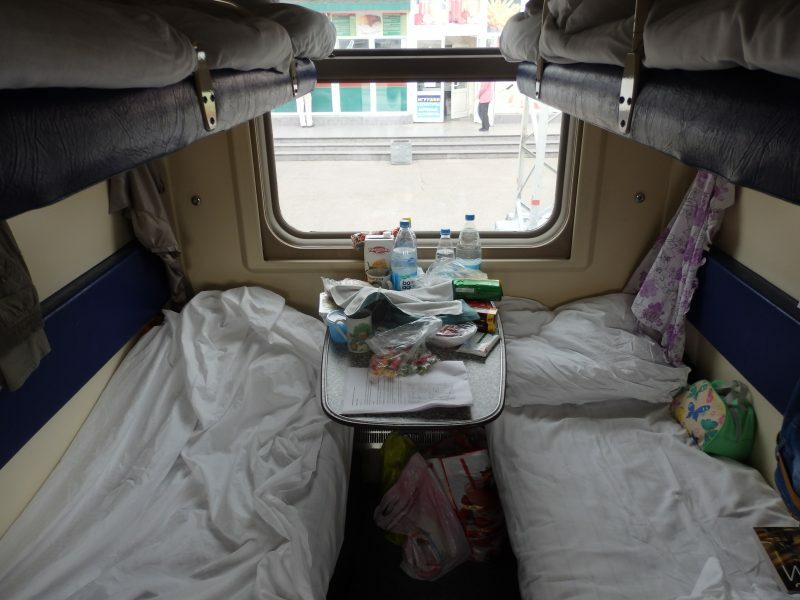 From Beijing, the lowest available class was 2nd Class- 4 berths cabins without aircon (but with a fan). Along the corridor in the carriages. Cabins on the right, couple of folding seats and plugs on the left. May look a little cramped, but it was better than this looked, with under-seat and over-head storage for bulky luggage, and a small shelf and some hooks for keep stuff within reach. Pillows, blankets and sheets provided. Had the whole cabin to myself for the first few hours. 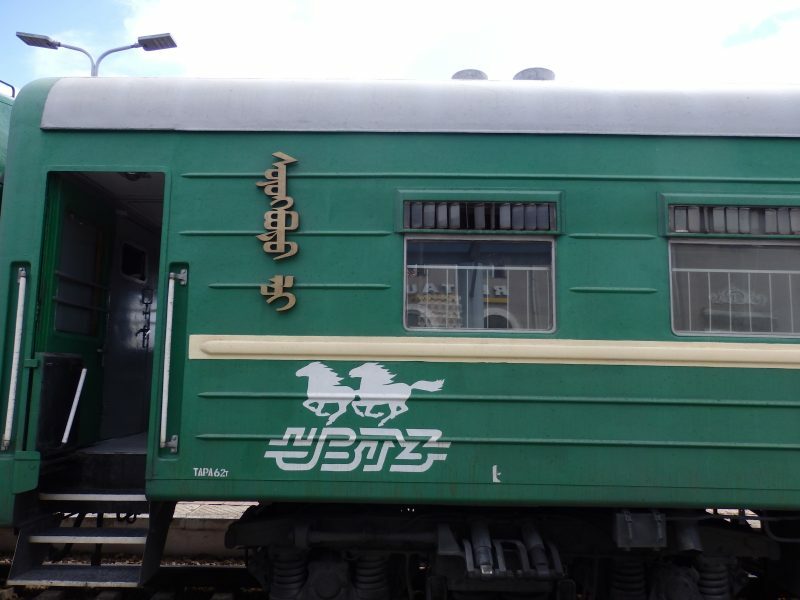 Restaurant cars follow the country in which the train is travelling in – Chinese restaurant cars in China, Mongolian restaurant cars in Mongolia, Russian restaurant cars in Russia. 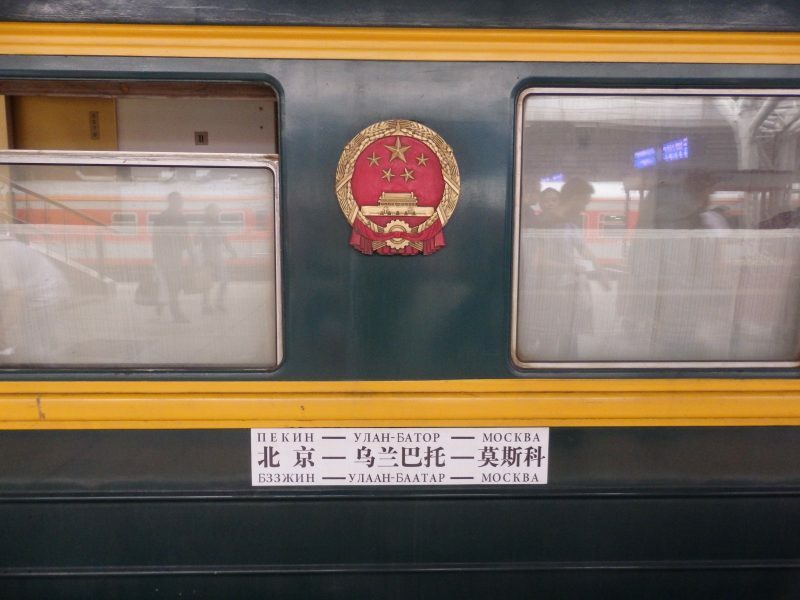 Lunch and dinner is included for the first day from China (regardless of how long you’re travelling on the train), serving simple Chinese fare. Here’s the restaurant car. 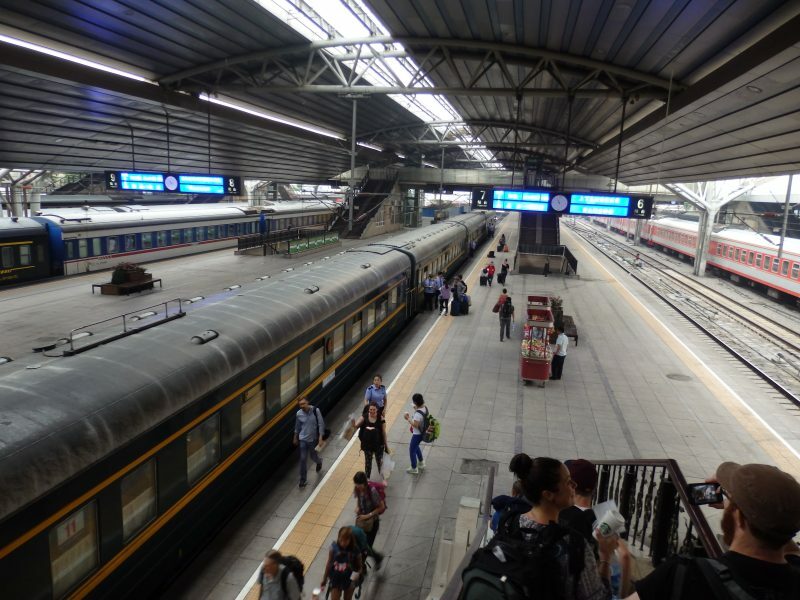 Heading in for the changing of bogies, as Mongolian and Chinese rail gauges are different. 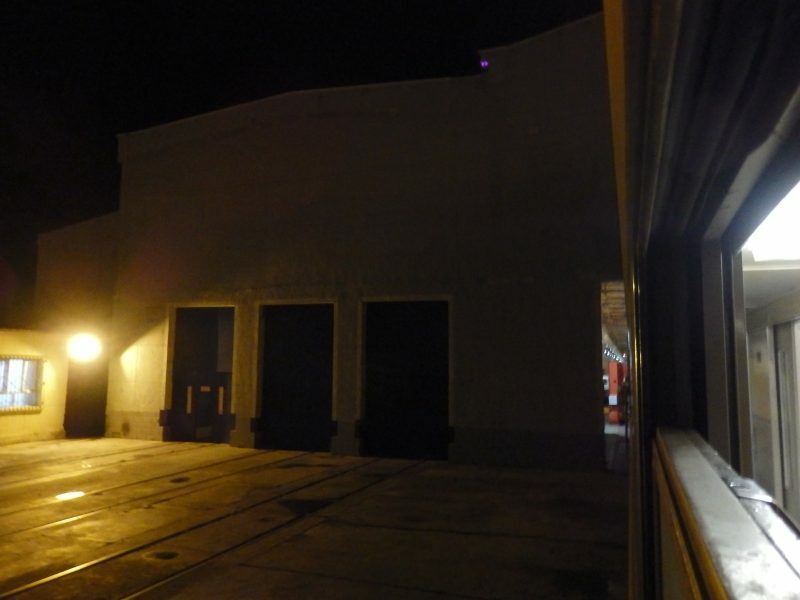 Inside the building, entire carriages are lifted up – with passengers and all inside. 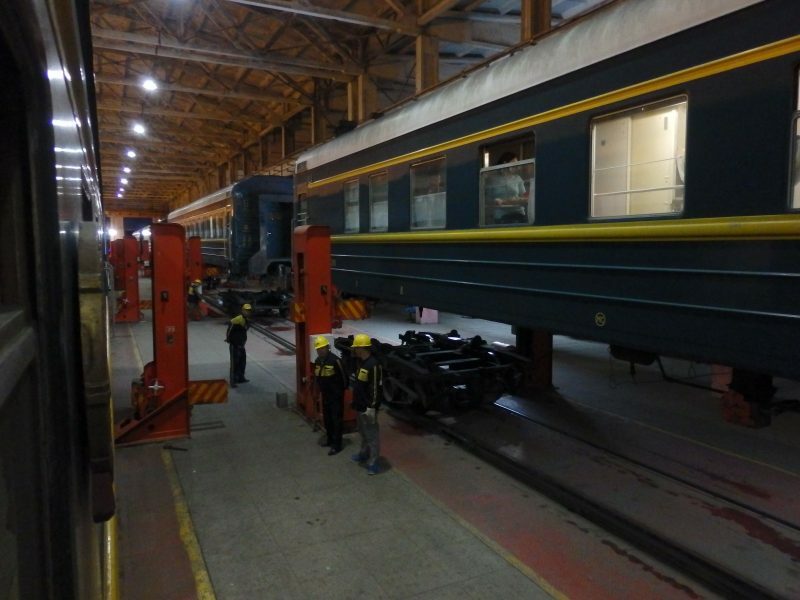 Chinese gauge (1,435 mm / 4 ft 8 1⁄2 in) bogies are removed, and the Mongolian/ Russian gauge (1,520 mm/ 4 ft 11 27⁄32 in) bogies are added. 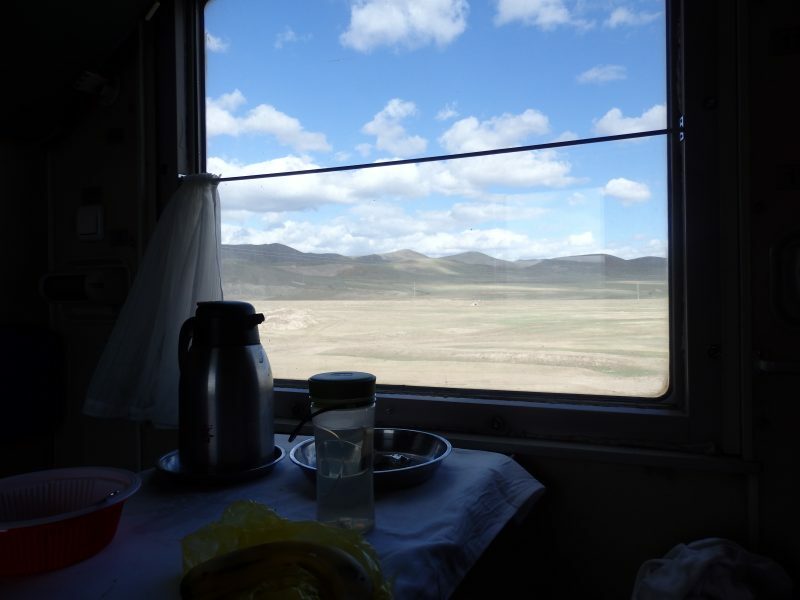 The next morning, rolling across the Gobi Desert. Nothing but the train and sand for miles and miles and miles. 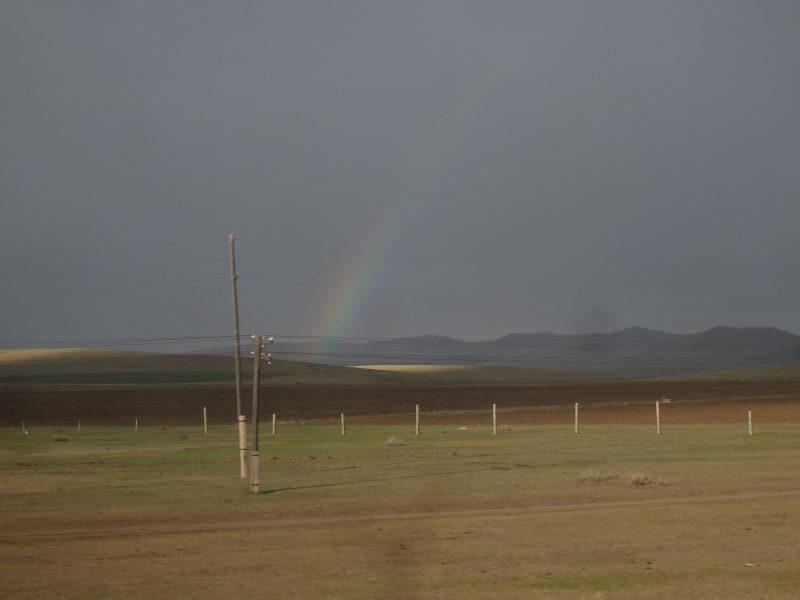 At a stop in Mongolia. Women with pushcarts went alongside the length of the train offering a variety of food and beverages. It was a deserted stop. Carrying out repairs. 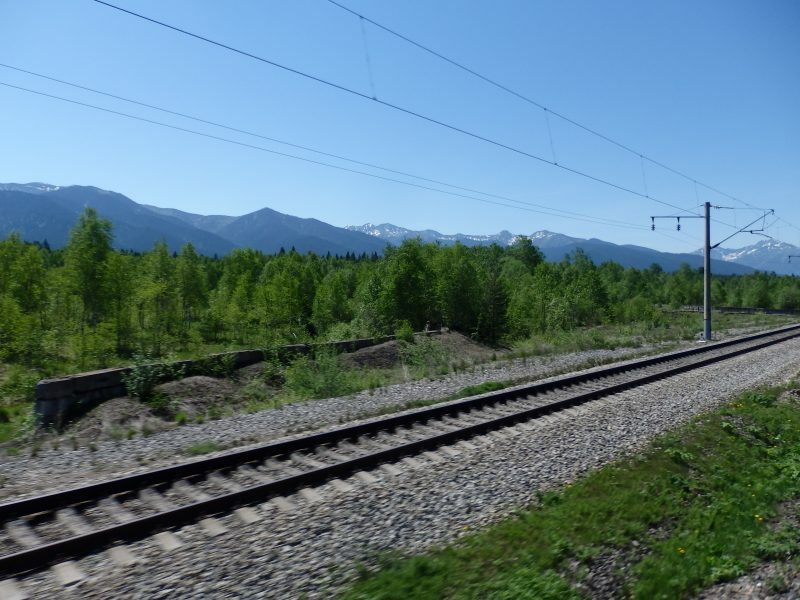 Despite the repair works that had to be done along the way, the train remained outstandingly punctual. 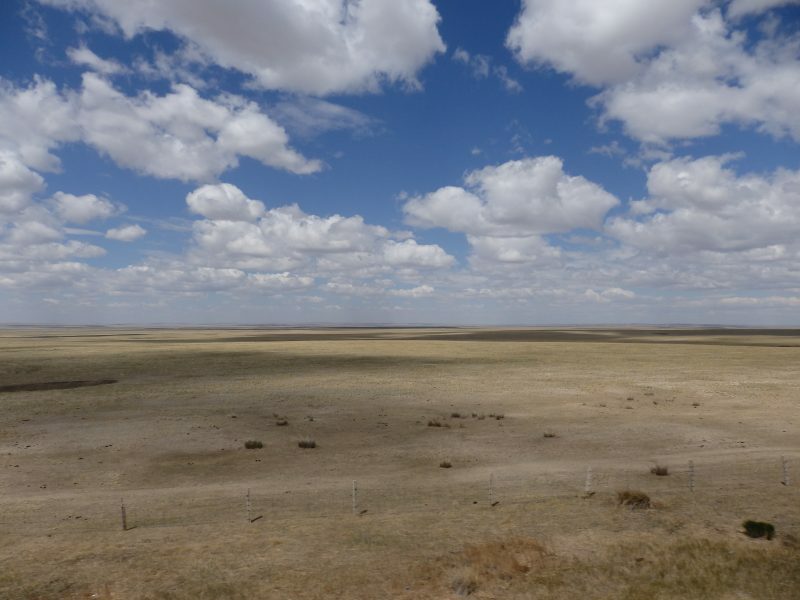 Back in the Gobi Desert. At the capital of Mongolia, Ulaanbaatar. Slightly longer stop here so I went for a short walk around the station. 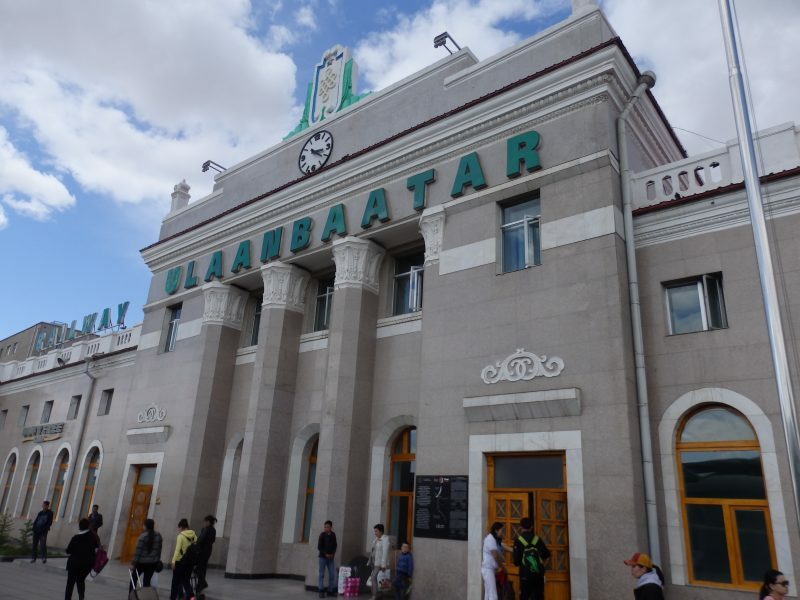 In the Ulaanbaatar railway station. Mongolian carriages were added along the way but I hadn’t notice. Later I found that sleeper carriages added from the different countries had different interiors reflecting their origins. 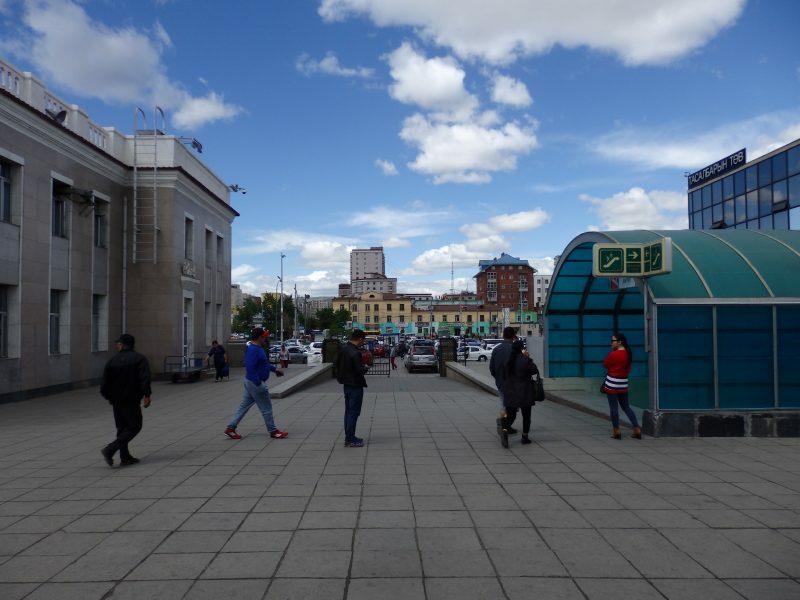 Ulaanbaatar. 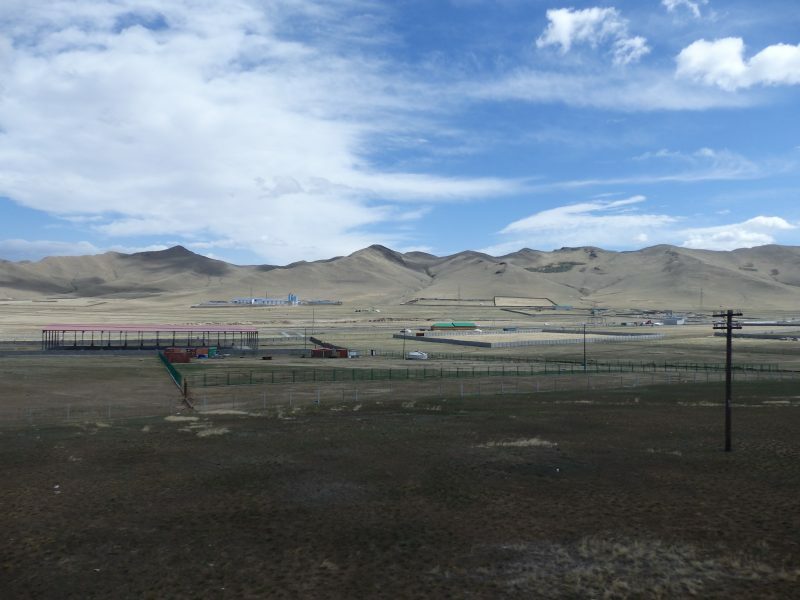 Didn’t plan for a stop here but heard from other travellers that tours organised from Ulaanbaatar involving travelling through the desert, staying some nights in traditional tents and a couple of other desert/ traditional activities made their visit to Mongolia a really unique and memorable one. And back into the desert again. Perfect for some tea, a book, or a nap. The blue skies were gone in the afternoon and a rainbow came in its place. 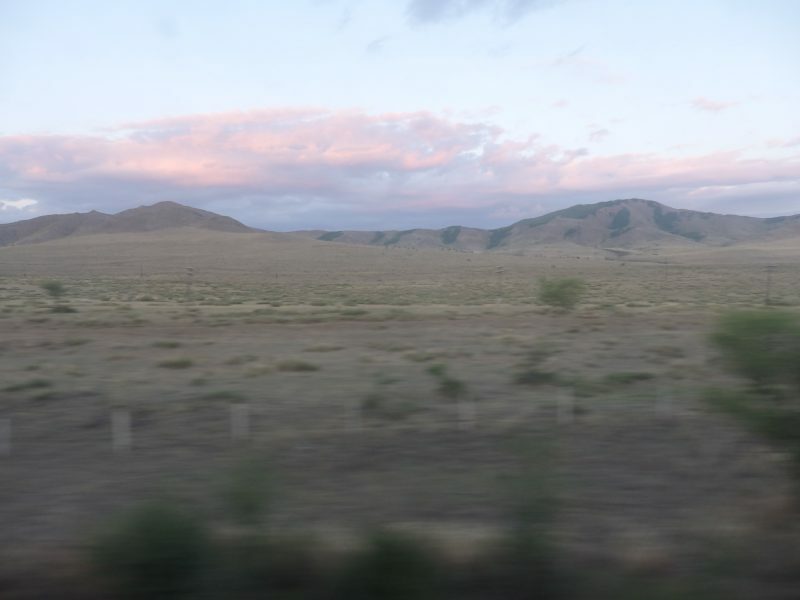 Sunset in the Gobi Desert. Immigration procedures at both borders were thorough but straightforward. 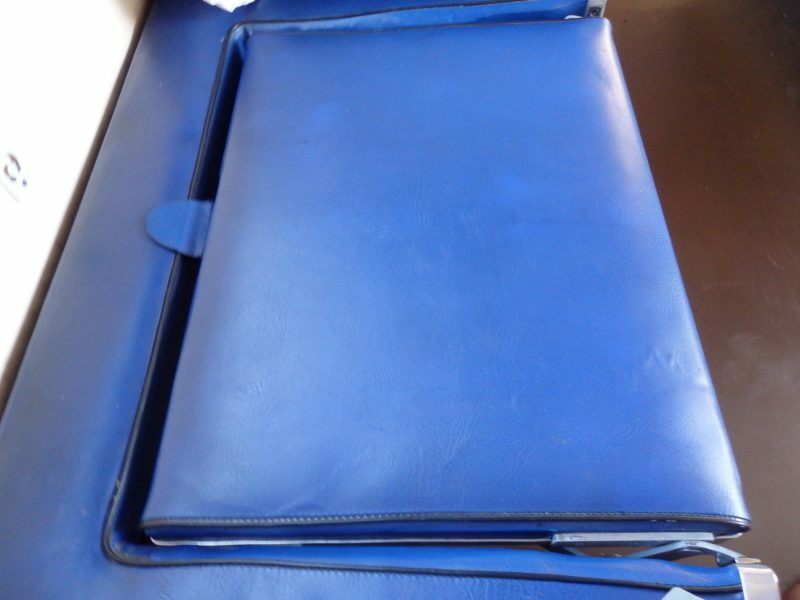 Immigration officers would board the train and inspect every inch of each carriage for suspicious articles/ activity. Nonetheless, with the right documents and with nothing to hide everything should be smooth. Just remember to stay awake throughout the procedures. 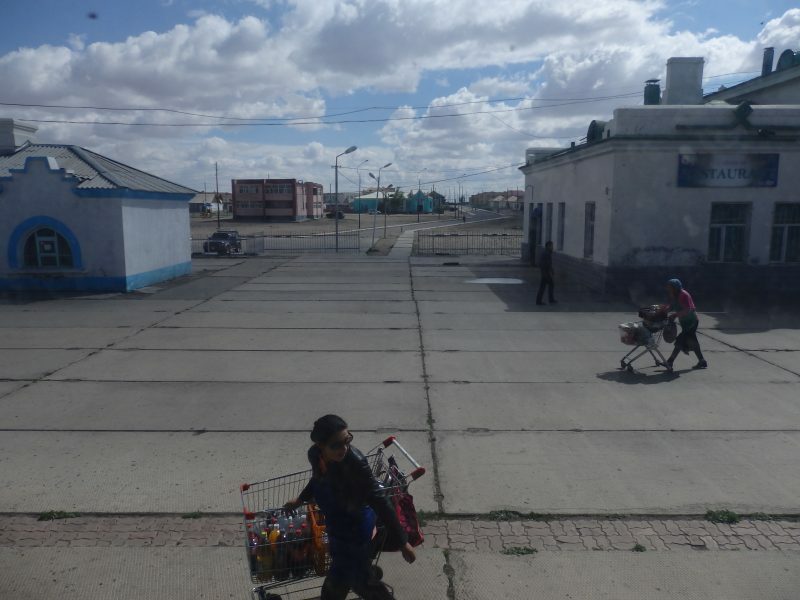 At the Mongolian border, a Chinese man was nearly kicked off the train for not waking up during the immigration checks. The next morning, after crossing the Mongolian and Russian customs the previous night. 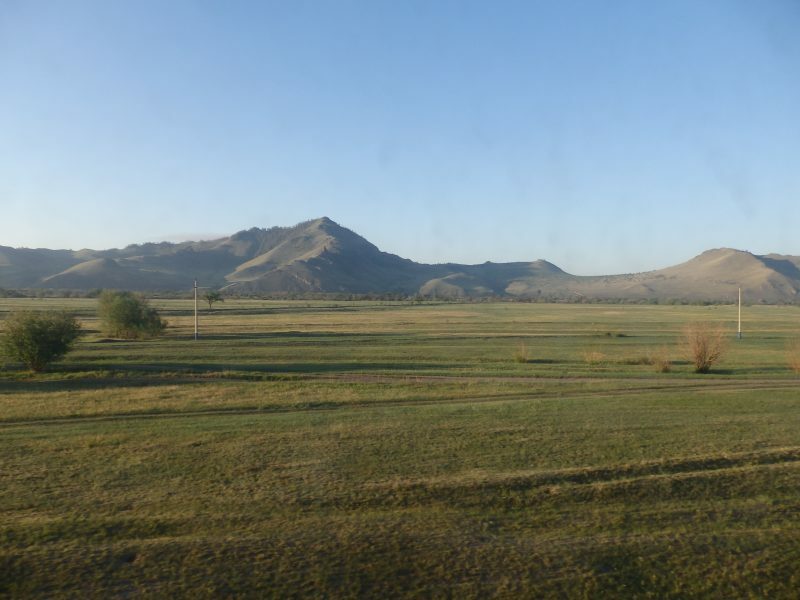 Just before Ulan Ude, the Trans-Mongolian branch of the Trans-Siberian Railway merged with the main line of the Trans-Siberian railroad. 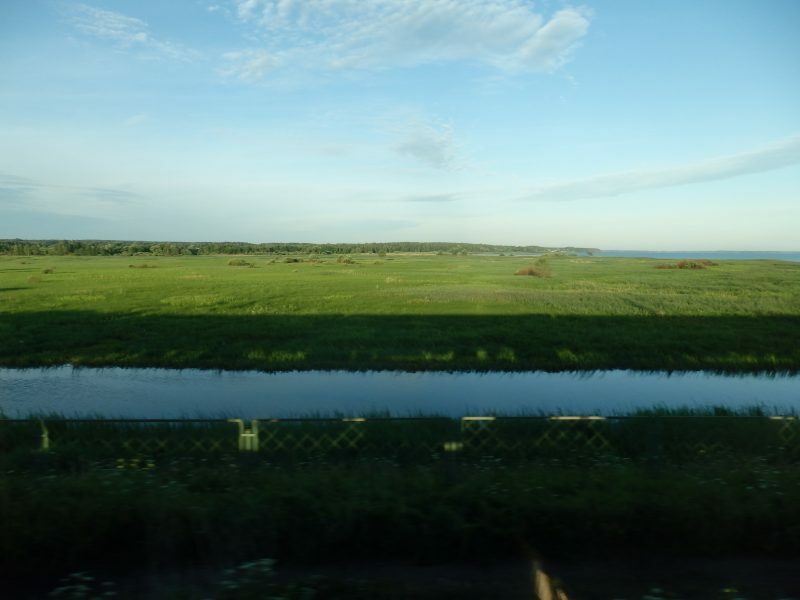 The main line stretches from Moscow, in Europe, to Vladivostok, at the Sea of Japan. 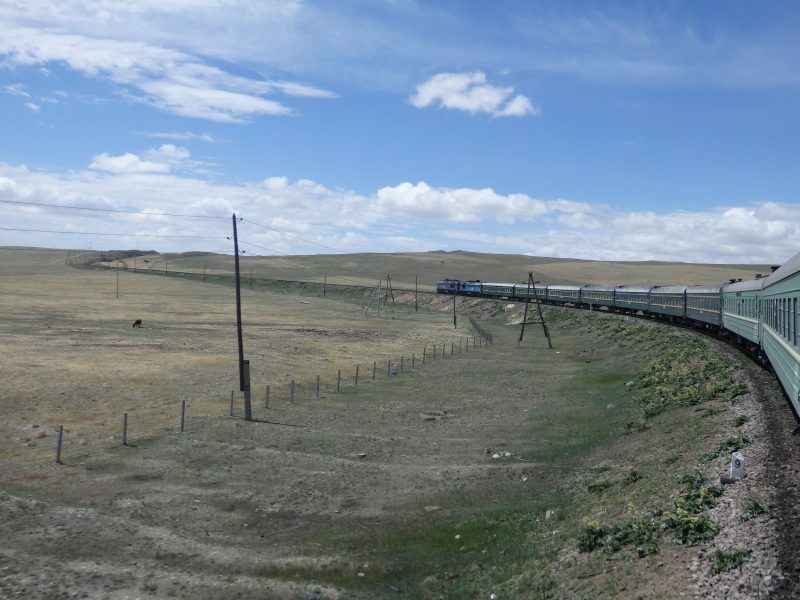 Reaching 9,289km, it is the longest railway line in the world. 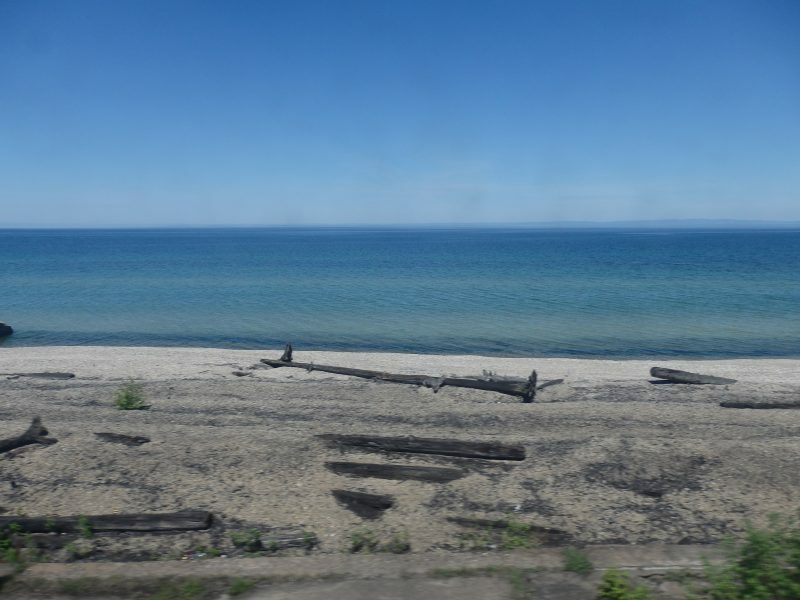 Not long after, along the shores of the mighty Baikal, the largest freshwater lake in the world. View of the stunning Siberian landscape from the comfort of my bed bunk. Mysterious Baikal. (Or rather, dirty train window filter). 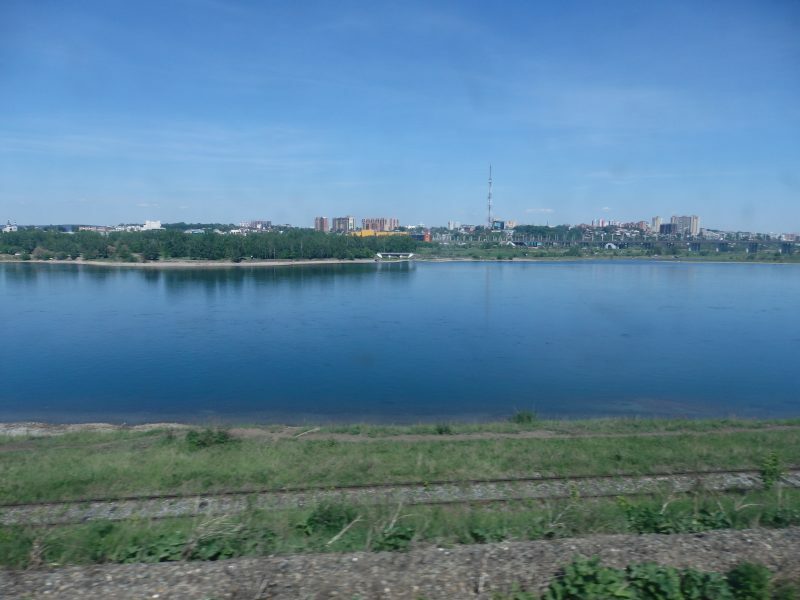 Irkutsk, capital of Siberia, along the Angara River. Didn’t look as wild as one would imagine when thinking of Siberia. 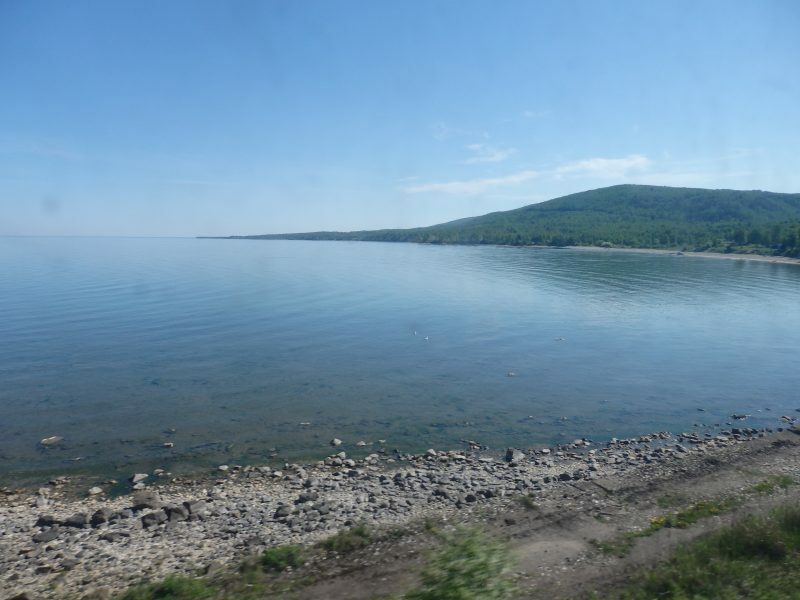 I got off the train at Irkutsk to spend a week in Siberia (split between Irkutsk and Lake Baikal). It was one of the most amazing experiences of the trip. Will write more about it soon! 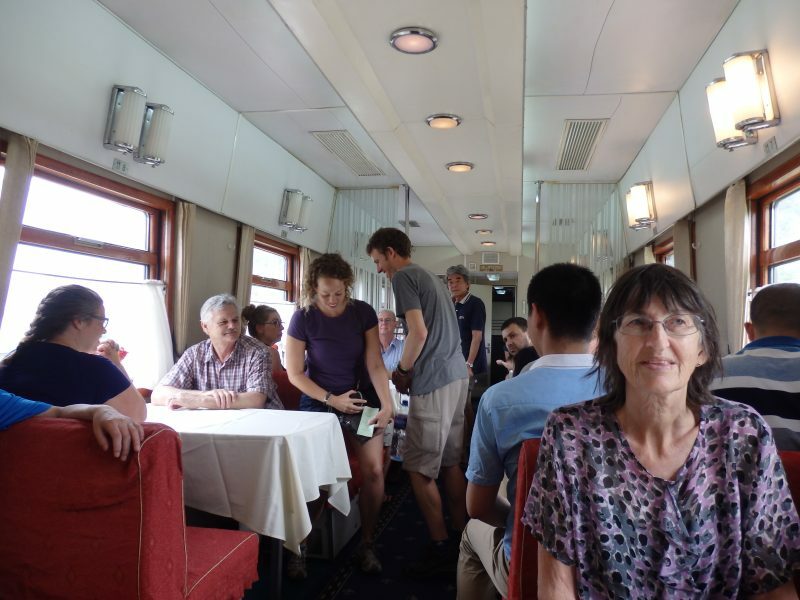 Met a friendly elderly Australian couple on the train. 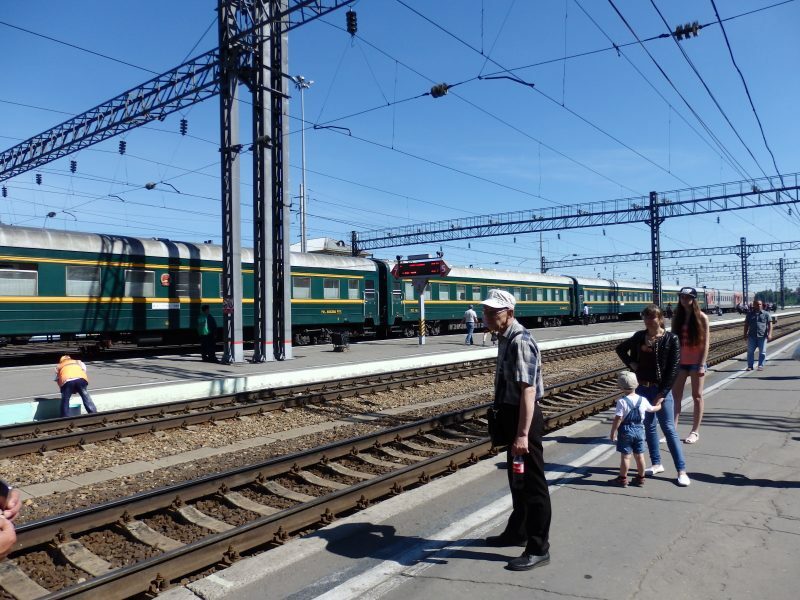 They were heading straight for Moscow so we bade farewell at Irkutsk. Lovely couple, I hope I’ll still be travelling at their age. I only managed to get tickets for the first leg, from Beijing to Moscow, before the trip (online and collected in Beijing). I bought the tickets for the later legs over the counter in Irkutsk, but not without difficulty. 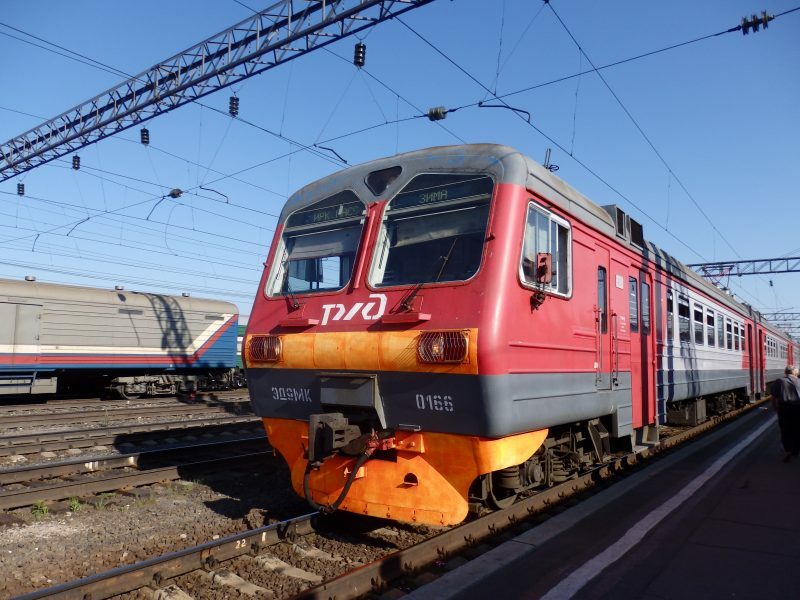 After a painfully long time at the counter, I was relieved to finally get all the tickets for the remaining legs- Irkutsk to Yekaterinburg, Yekaterinburg to St Petersburg, St Petersburg to Moscow. Credit cards are accepted at the counter, much to my relief too. 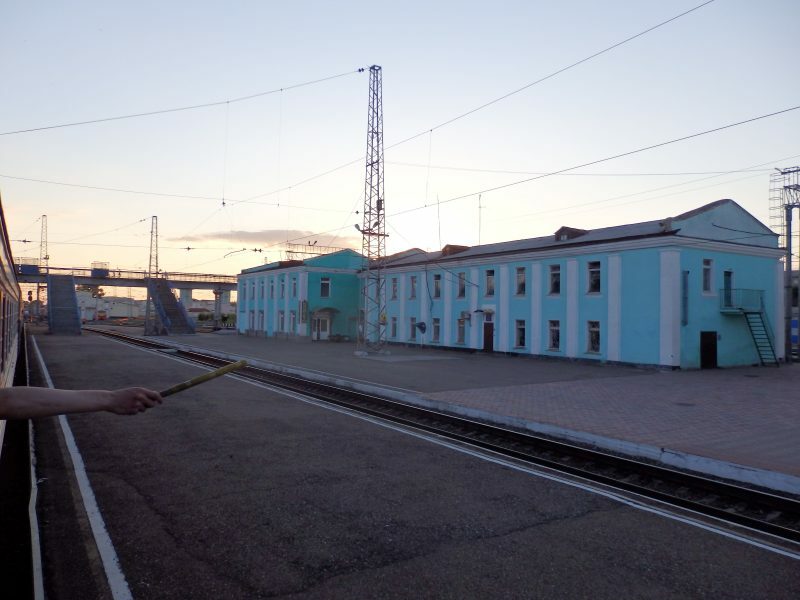 Outside the Irkutsk Railway Station. 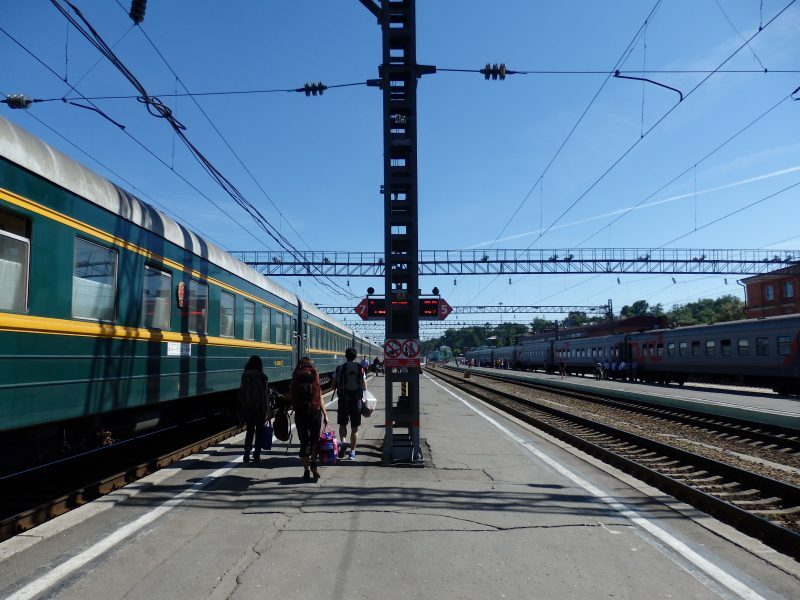 Had quite a lot of difficulty getting the onward tickets for the trip, as station staff (and almost everyone around) did not speak any English (and I did not speak any Russian). I was fortunate the person attending to me was a really patient and kind lady, and I got the tickets I needed in the end. Understanding the tickets, on the other hand, is a problem for another day. A week later, back at the same station, all ready to go. 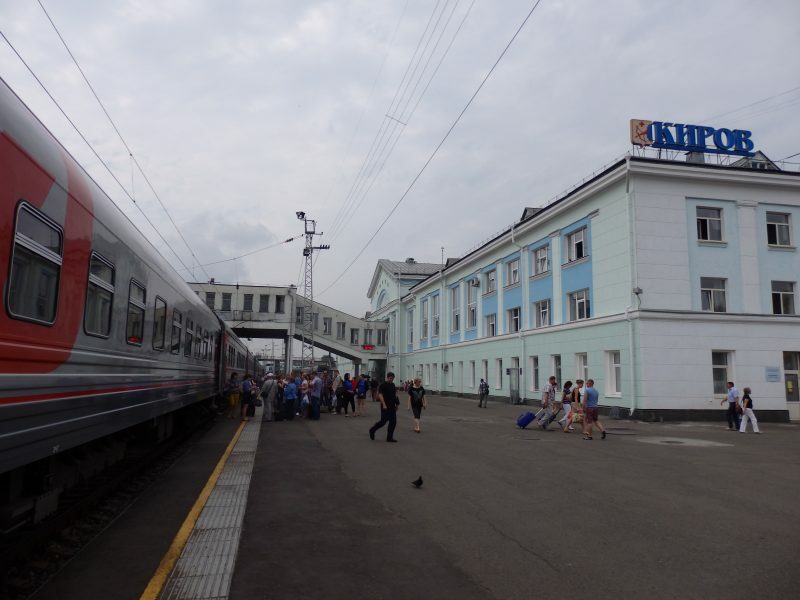 Back at the Irkutsk Railway Station. While I was in 2nd class for the first part of this journey, I decided to try out 3rd class, or platskartny, for the rest of my journey. Or rather, financial constraints dictated that I should take whichever was more economical. While I’d say that platskartny isn’t for everyone, I’d really recommend it to anyone in for an experience of a lifetime. In the end, it wasn’t as uncomfortable as I’d thought it would be, and the opportunity to interact with locals (despite the lack of a common language) more than made up for it. It’s hard to think of another situation where I’d be forced to be in such close proximity to total strangers for a couple of days straight, and Russians are definitely more friendly than I thought they would be. Truly communal experience in third class (platskartny). Met many friendly people with whom I shared no common language, yet felt really welcomed. Had a lower bunk. This middle portion flips up into a table. It was long and wide enough for me to get some decent sleep. Pillows, sheets and a small tower provided. 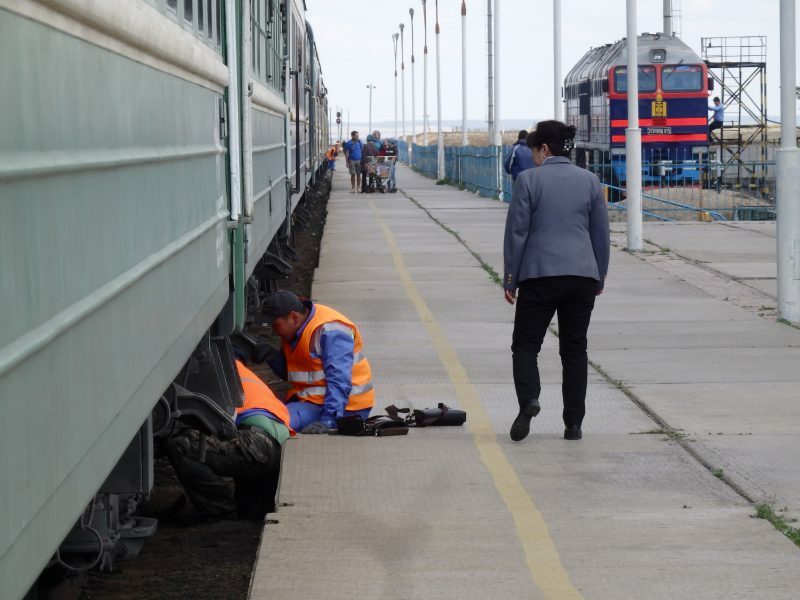 Train staff would mop the floor at least once a day so the area was relatively clean. All the way back at the last carriage. Sometimes, looking back and seeing how far you’ve come feels pretty rewarding too. 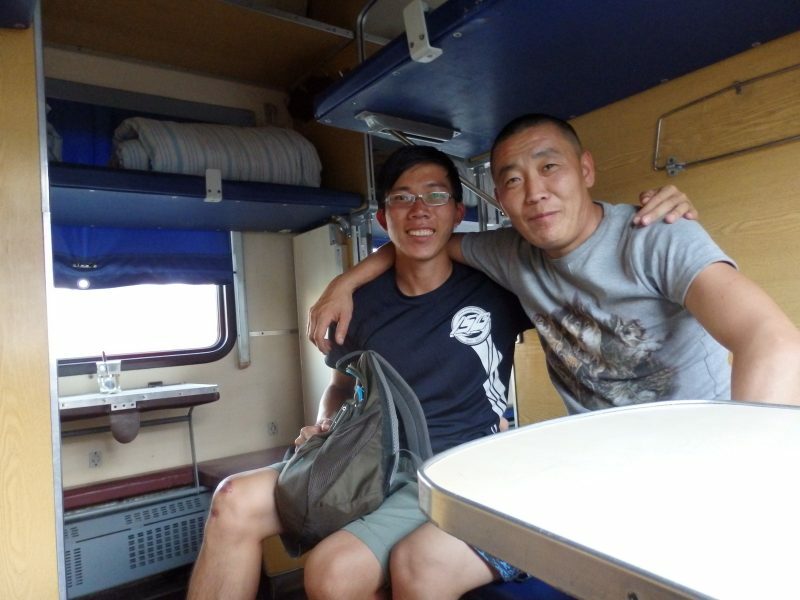 Friendly guy from Ulan-Ude I met on the train. 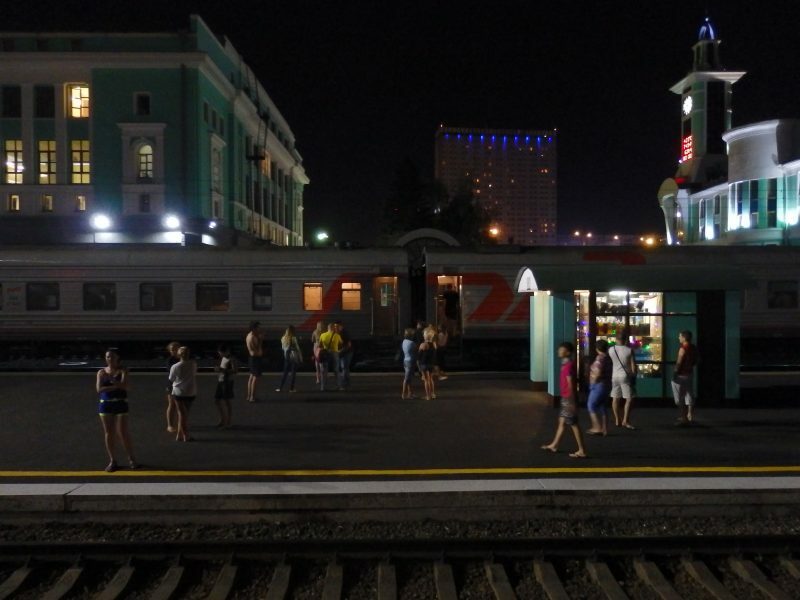 Novosibirsk. third most populous city in Russia. Time warp as the train hurtled across time zones. There were a few power plugs in each carriage, but power supply was occasionally spotty. Always room for more. The plug in the toilet was almost always in use too, and locals seemed comfortable at leaving their phones unattended. I like places where people can trust those around. At a stop. It was getting warm in the afternoon and the train I was on was without aircon. 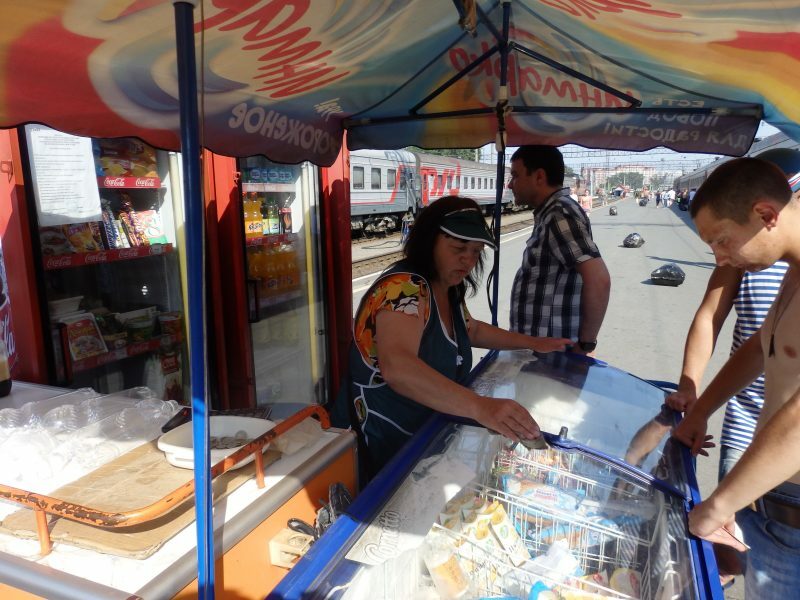 Ice cream sales look good. 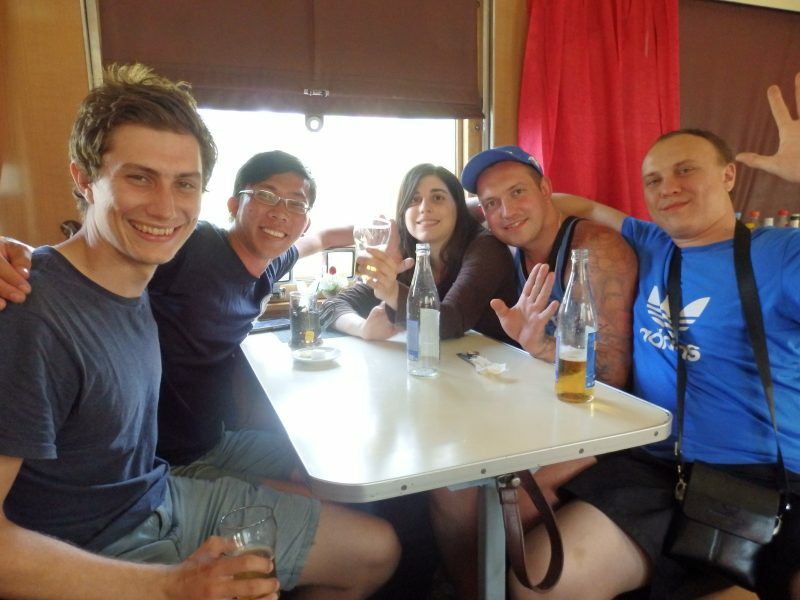 More friends I met on the train, this time at the restaurant car. These Russian guys (on the right) readily offered vodka and beer to travellers passing through. Had a couple of shots and was getting concerned about missing my stop a couple of hours later. 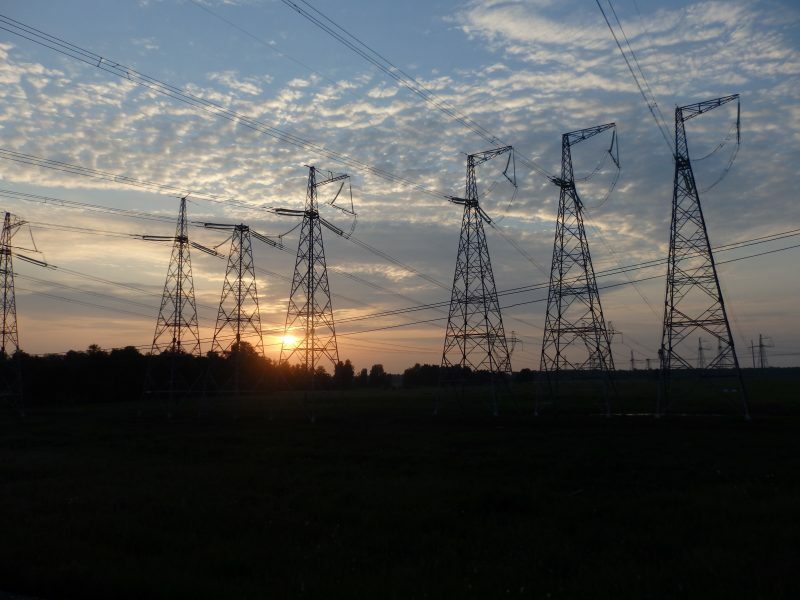 Sunset against pylon lines, just before Yekaterinburg. 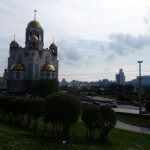 Yekaterinburg was my second stop of my Trans-Siberian adventure. I spent a few days exploring the city and some nearby attractions. Wasn’t as spectacular as Siberia, but nonetheless intriguing (with a colourful/ dark past). A guy I met on the train who happened to be from Yekaterinburg also showed me around his city for a day, for which I am very grateful. 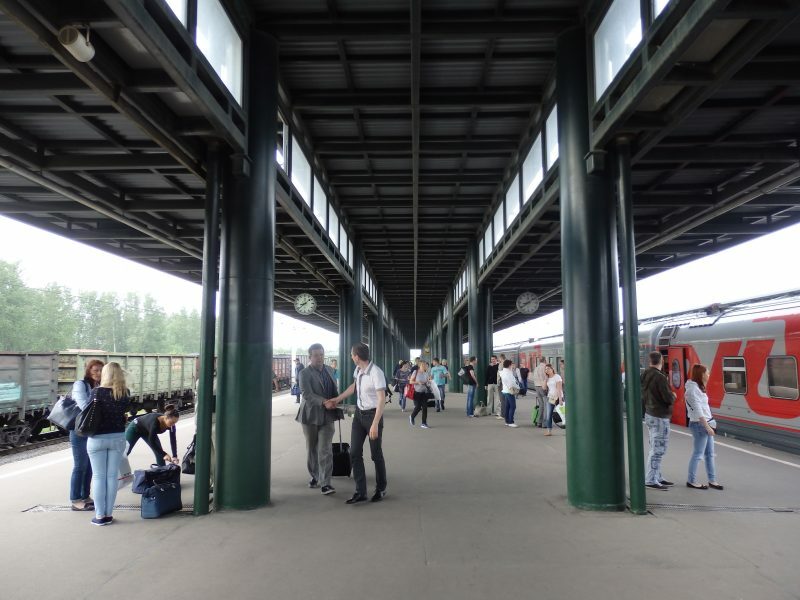 At Yekaterinburg Railway Station, families were waiting for guys who looked like they were serving national service to arrive from one of the trains coming from the far ends of Russia. Some reunions got emotional. After 3 days in Yekaterinburg, it was time to go again. 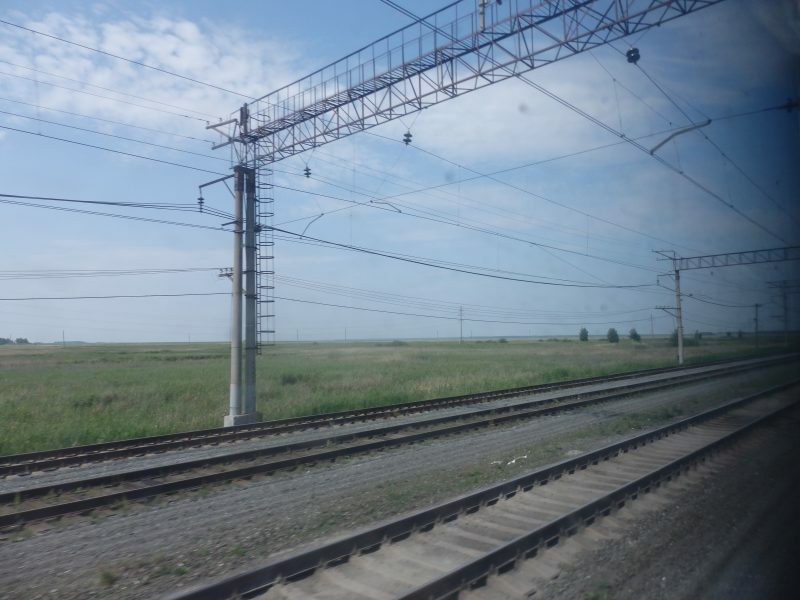 Technically the rest of the trip isn’t on the Trans-Siberian, as I took a detour to St Petersburg before heading south to Moscow for my flight home. Moscow seemed to offer better flight connections at least to Singapore. 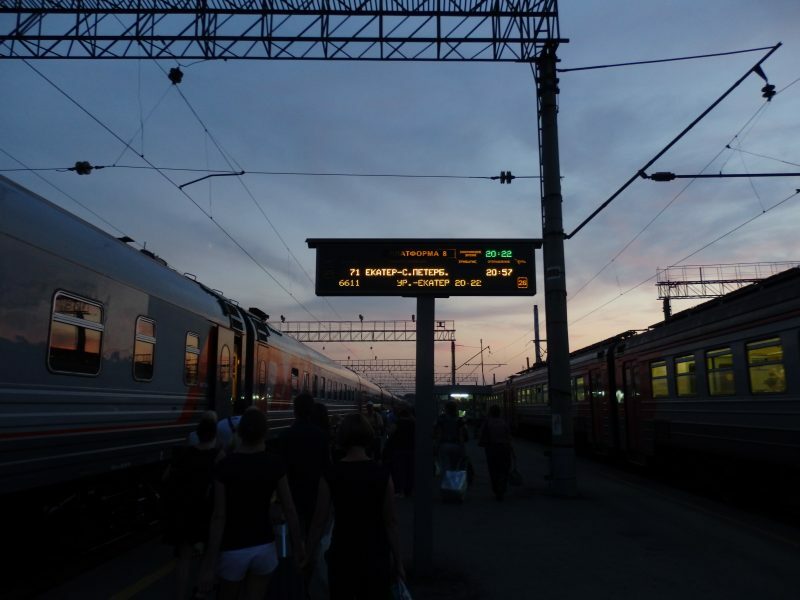 Railway stations (and trains) throughout Russia run on Moscow time, which can be pretty mind-blowing taking into account how Russia stretches from slightly west of Alaska all the way to eastern Europe. 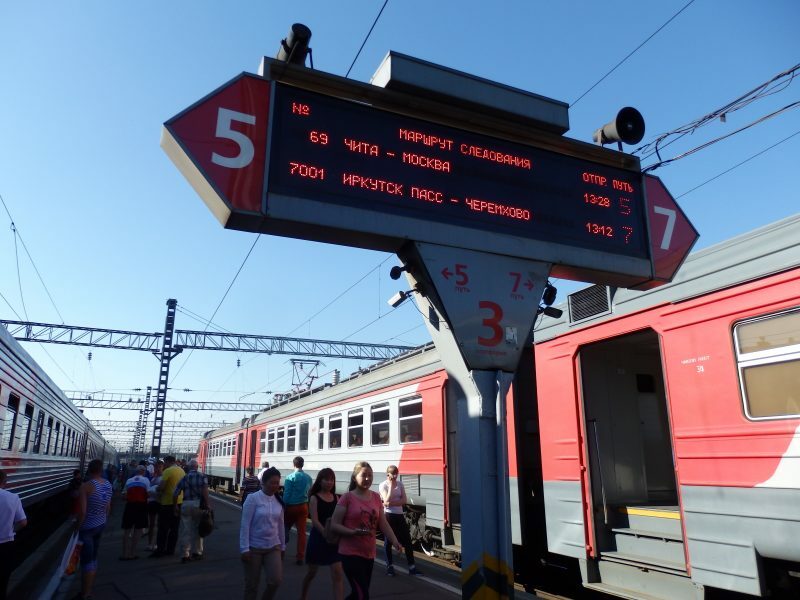 With Moscow all the way in the west of Russia, stepping into almost any Russian railway station would mean stepping back in time by a couple of hours (with the maximum (I think) at Vladivostok in the Russian Far East at 7 hours time difference). 10pm just outside the train station, 8pm on the inside. 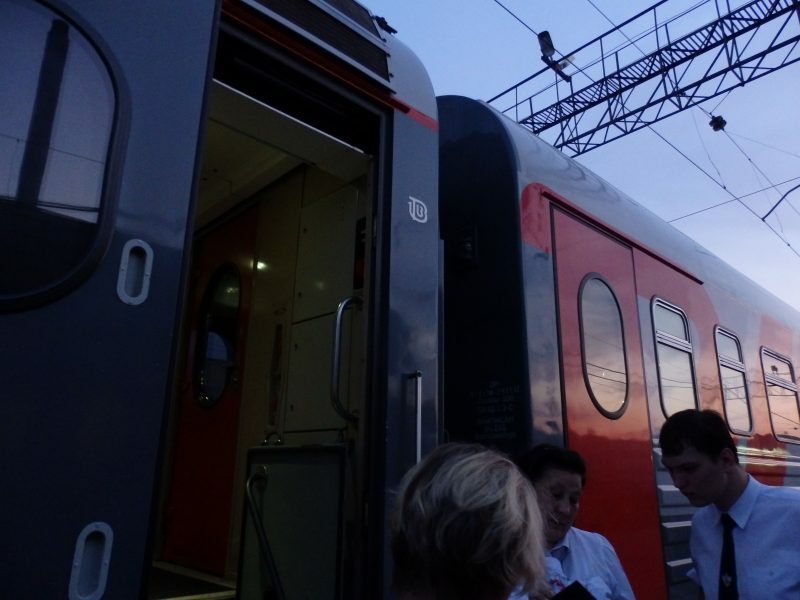 Boarding the train, onward to Saint Petersburg! 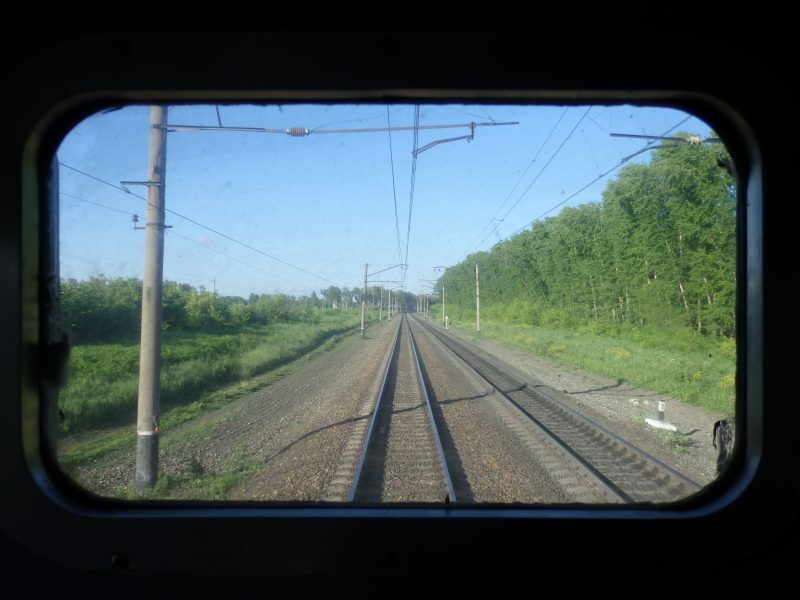 Leaving the city of Yekaterinburg on a Monday evening, it was going to be another 36 hours on the train before St Petersburg. 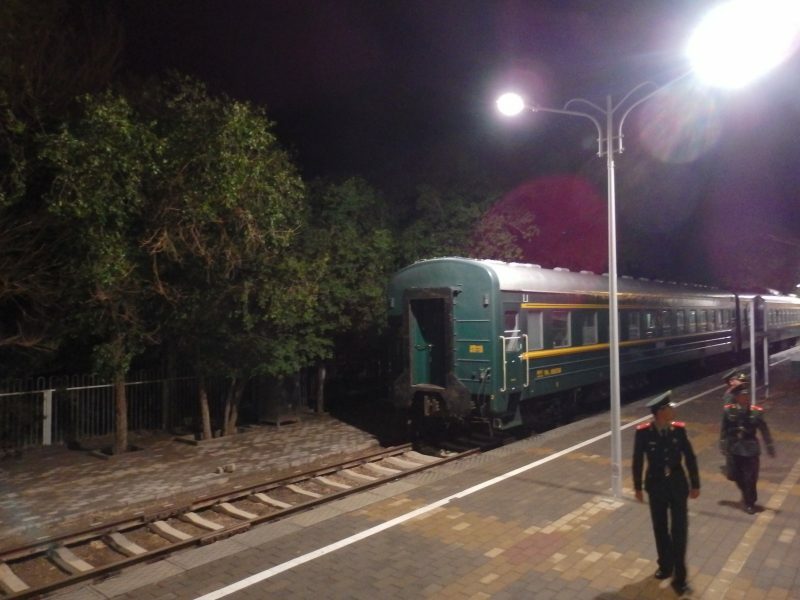 As the train pulled away from the European/ Asian border, few things changed. Gradually, but surely. The landscape, the people, the timezone (not again! ), and a certain something in the atmosphere. 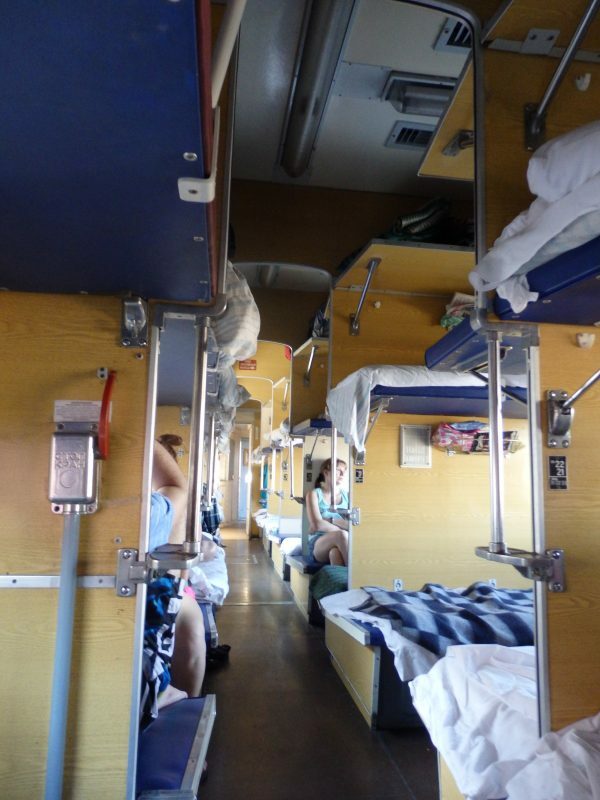 Or perhaps just the temperature, now in newer looking trains with air con. Needless to say, it was much more comfortable. Had much less interaction with the people around this time though. My bunk during the day, with the mattress rolled up and table flipped up. This train was air conditioned and so much more bearable than the previous leg, which was not. 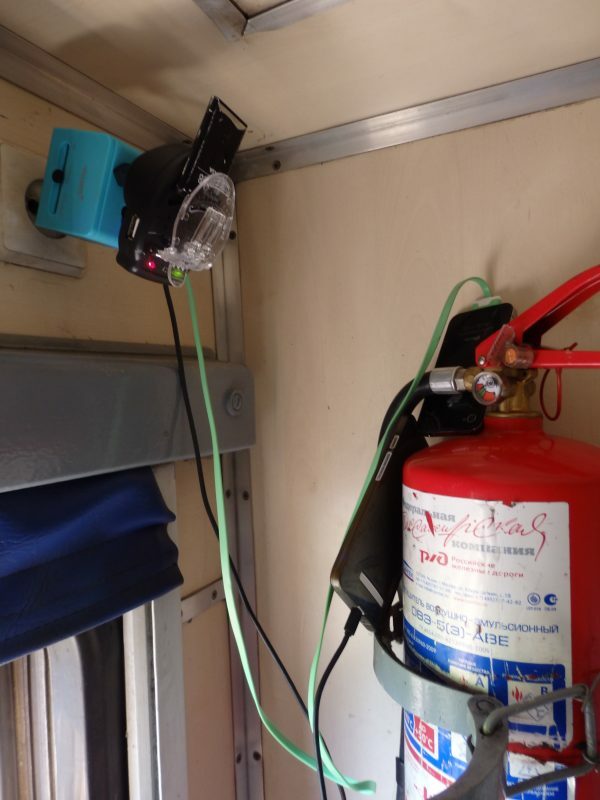 The setup was comfortable enough for a couple of days, and the plug just beside my bunk definitely helped too. I had earlier bought a data enabled phone card in Irkutsk, and while reception outside of cities was quite bad, my battery was draining fast. 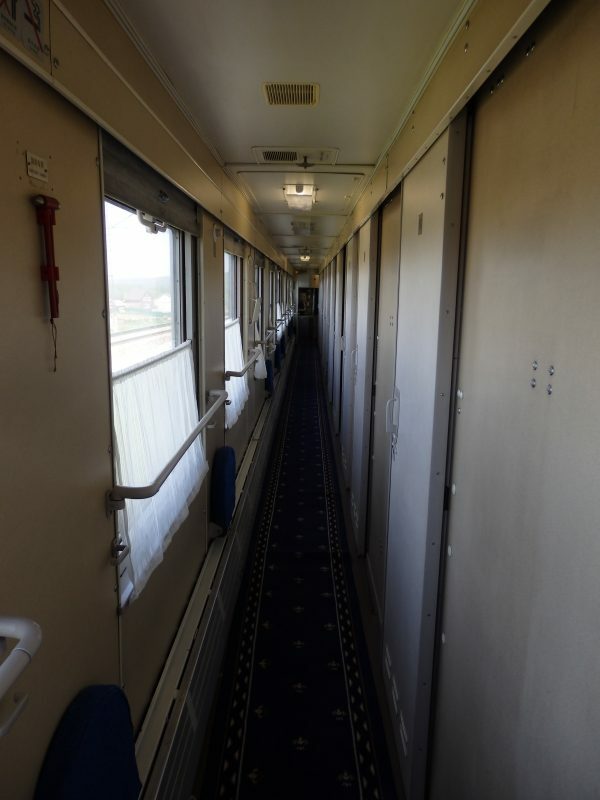 Bunks on the other side of the corridor. No doors. TIL: Kirov is a real place. After another day or so on the train, I arrived at St Petersburg, a truly beautiful and amazing city, where I spent four days. 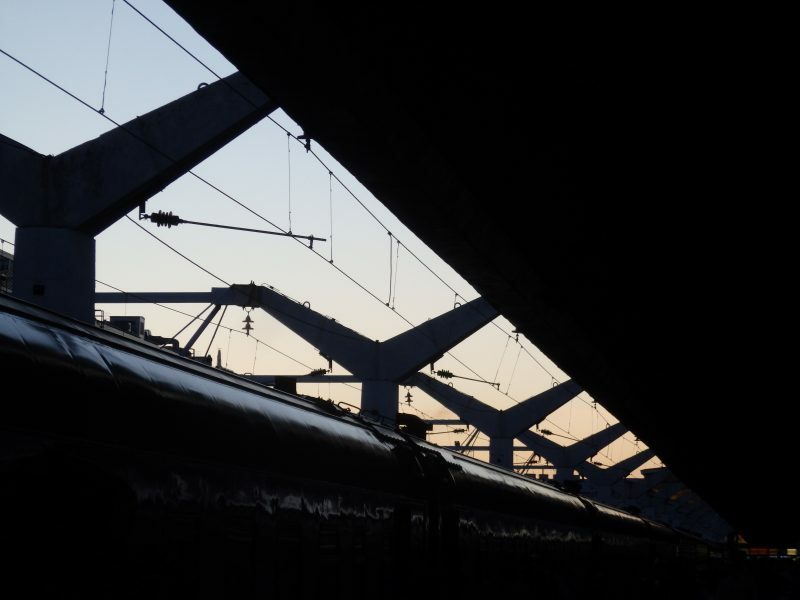 After four awe-filled days in Saint Petersburg, I made my way to the Moskovsky Railway Station, not too far from the heart of St Petersburg, for my final train trip of my 50 day long overland adventure from Singapore. 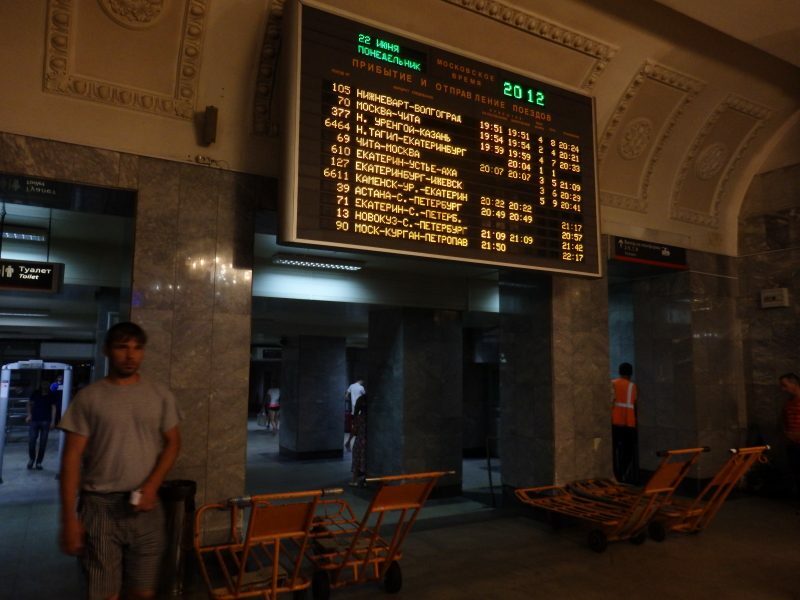 Inside Moskovsky Railway Station, St Petersburg. 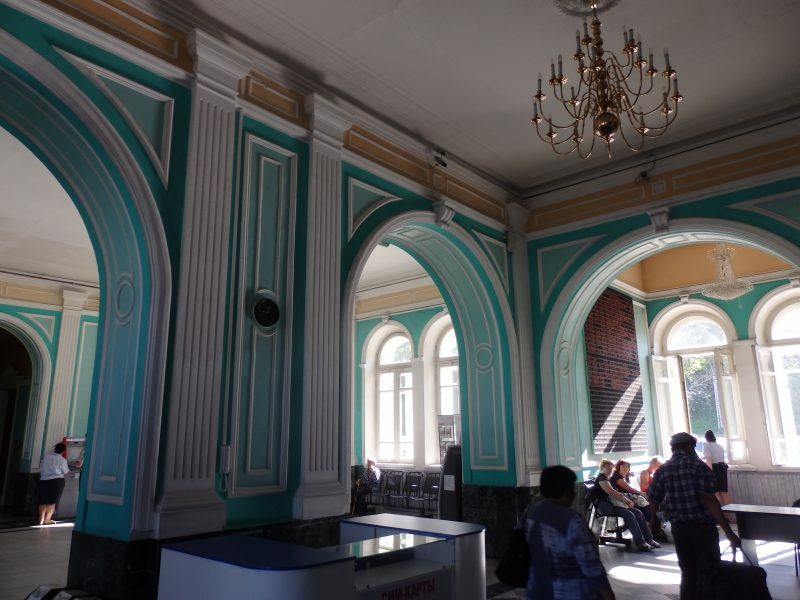 Moskovsky Railway Stationis the oldest preserved station in St Petersburg. 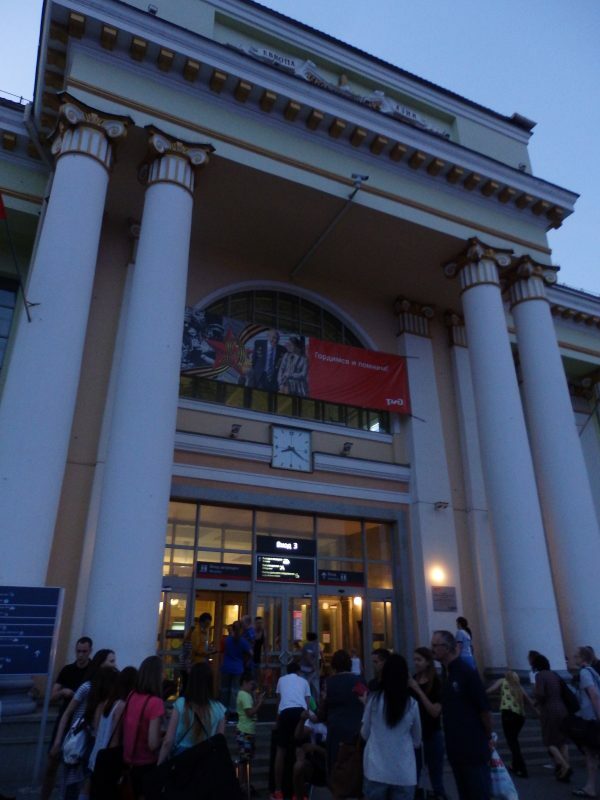 Not sure if named because trains to Moscow start here- the corresponding station in Moscow is Leningradsky Railway Station, Leningrad being the Soviet era name of St Petersburg. The exterior still preserving its old charm, the interior looking refreshed. On to my final stop of this quest, Moscow! 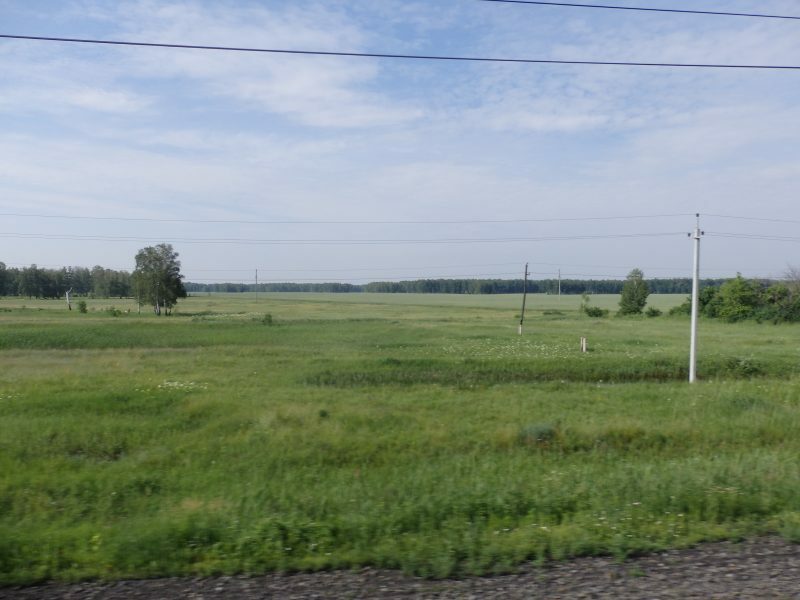 More fields en route from St Petersburg to Moscow. 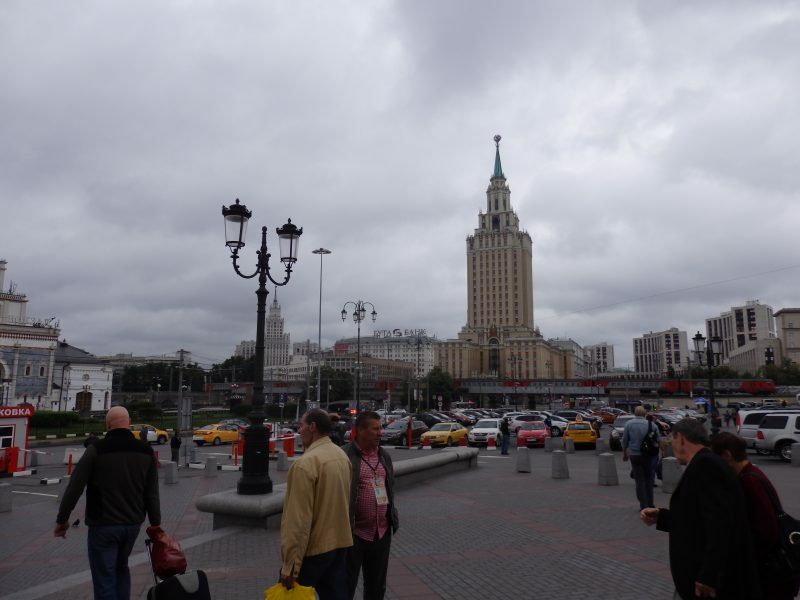 A little weary yet excited as I stepped out of the station into Moscow, a little similar to the feeling upon completing the very first phase of my overland trip, arriving in China on a bus four days after leaving Singapore. I had originally intended to reach deep into Europe, but a job offer I could not reject was beckoning back in Singapore, and this would be where my longest solo trip ever would end- for now. I was getting a little tired too, and was glad to be back home soon. 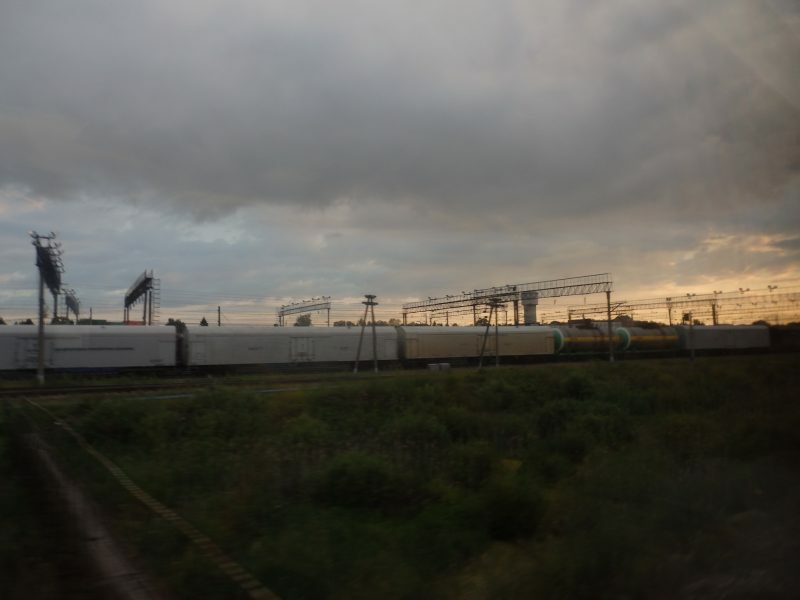 Many travellers though, continue their trip into Europe, usually taking the Trans-Siberian to Moscow first, then north St Petersburg, then further north to Finland to get to Scandinavia or the Baltic states. Heading straight west isn’t that practical, with potentially lots of paperwork and money to get to Belarus or Ukraine. First impressions. Outside railway station, on Komsomolskaya Square. 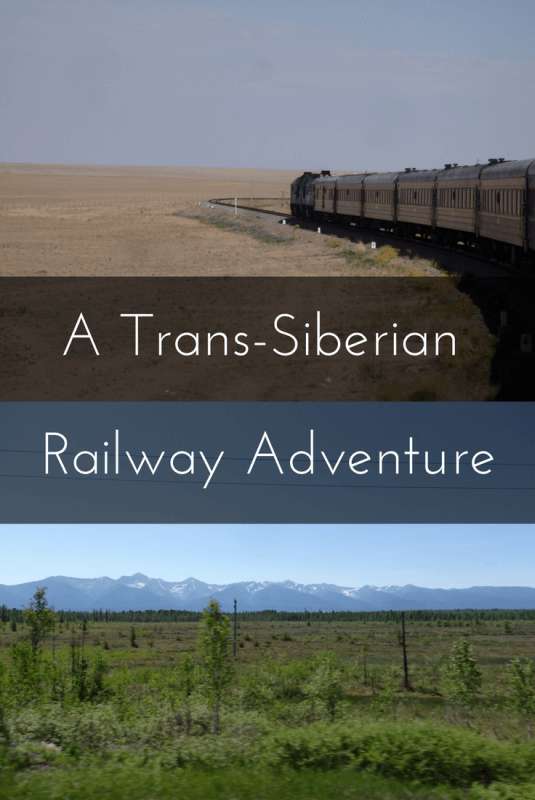 Some additional information you may find useful if you’re planning a Trans-Siberian trip. 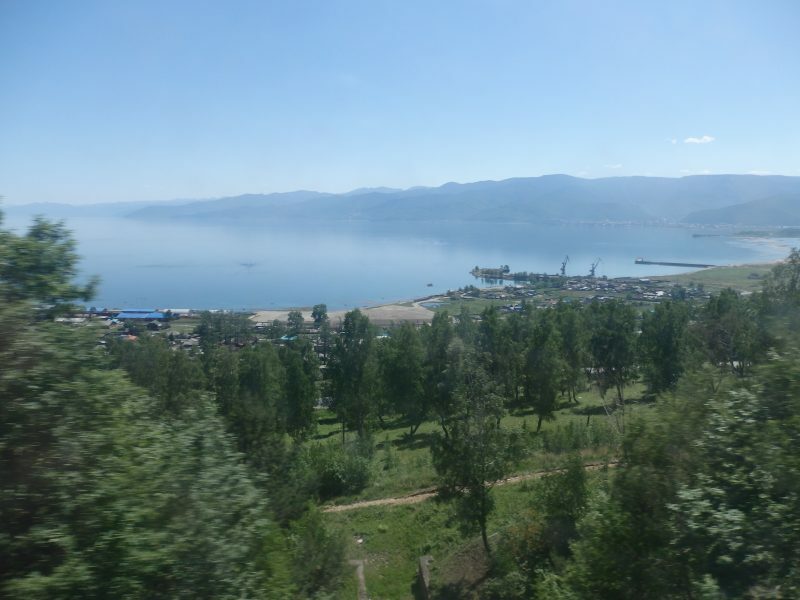 Bought tickets for Beijing to Irkutsk online at the CITS website. Tickets for legs originating from China can be bought there. 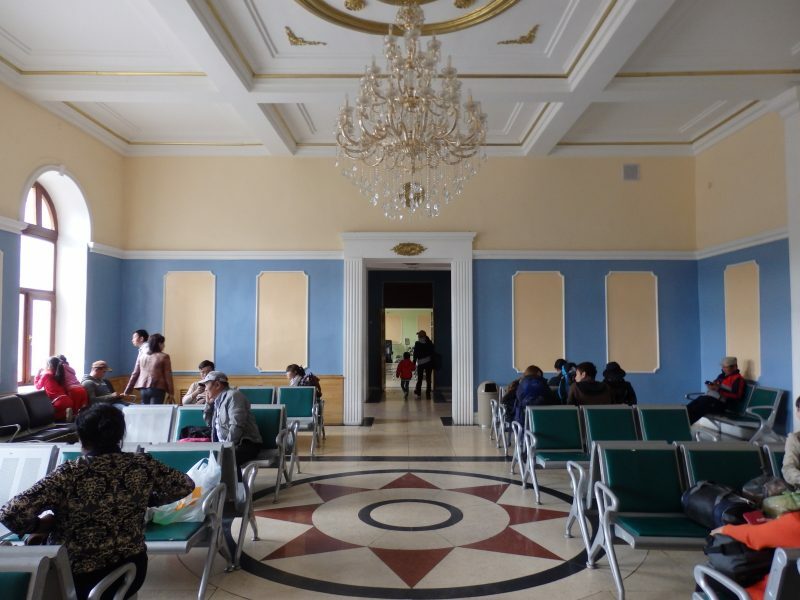 I bought on onward tickets from Irkutsk to Yekaterinburg, Yekaterinburg to St Petersburg and St Petersburg to Moscow at the Irkutsk Railway Station, but that was kind of difficult as the staff did not speak English. Tickets for trips from Beijing can be collected at the CITS building in Beijing. Restaurant cars provide food according to which country the train is currently in. Only lunch and dinner for the first day is included in the ticket. 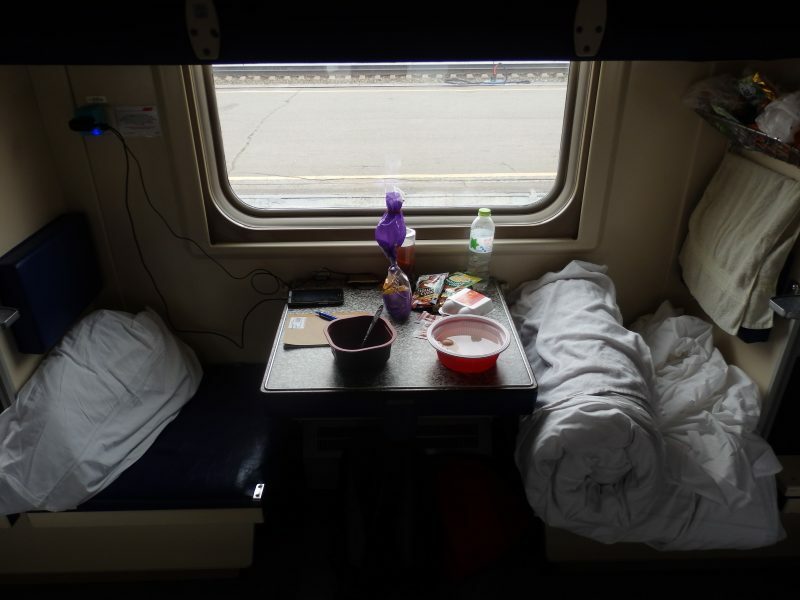 Other travellers commented that food from the restaurant car was not really expensive thereafter but I had brought sufficient food with me from Beijing. 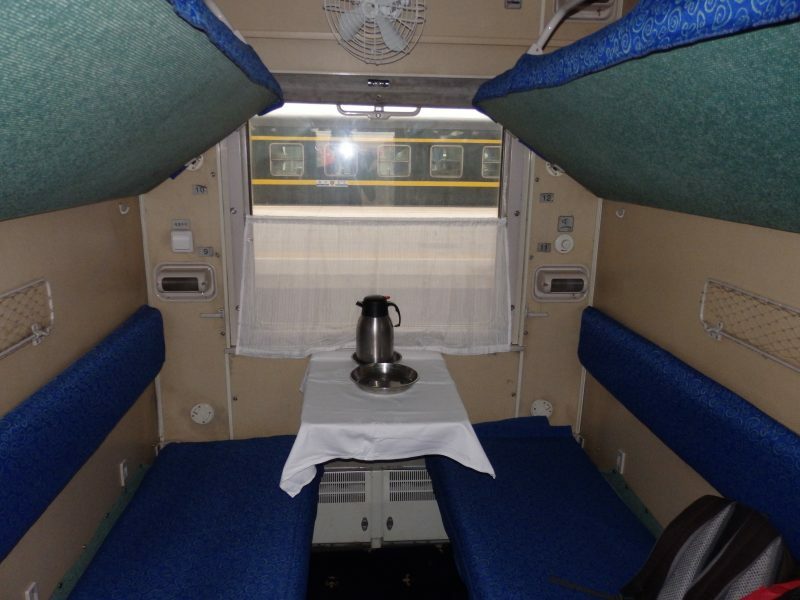 Hot water was mostly available throughout, provided via a boiler at each carriage. I think you might be able to borrow some basic utensils/ cups from the conductor in your carriage, but probably better to prepare your own. A pillow, blanket, and clean sheets are provided. Sockets available in the toilet, at the end of carriages and somewhere along the middle of the corridors. Two round pin European plug. Current was erratic though, switching on and off constantly at some points. Toilets were cleaned often but toilet paper occasionally ran out so it might be good to bring an extra roll. No other toiletries provided, and also no showers available. As with trains elsewhere, can’t use the toilet during stops. 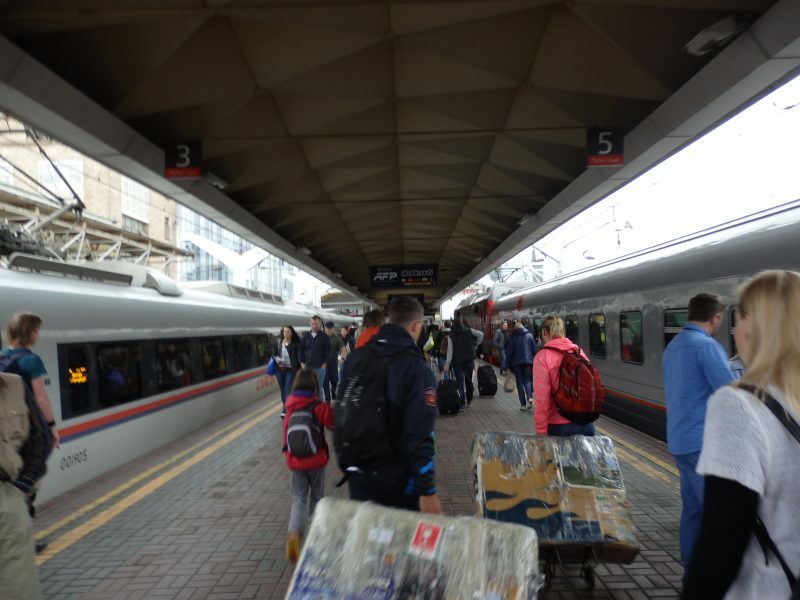 Customs officers at the various borders will board the train (no need to unload/ disembark) to check documents so have all necessary documents ready and be cooperative to avoid any trouble. 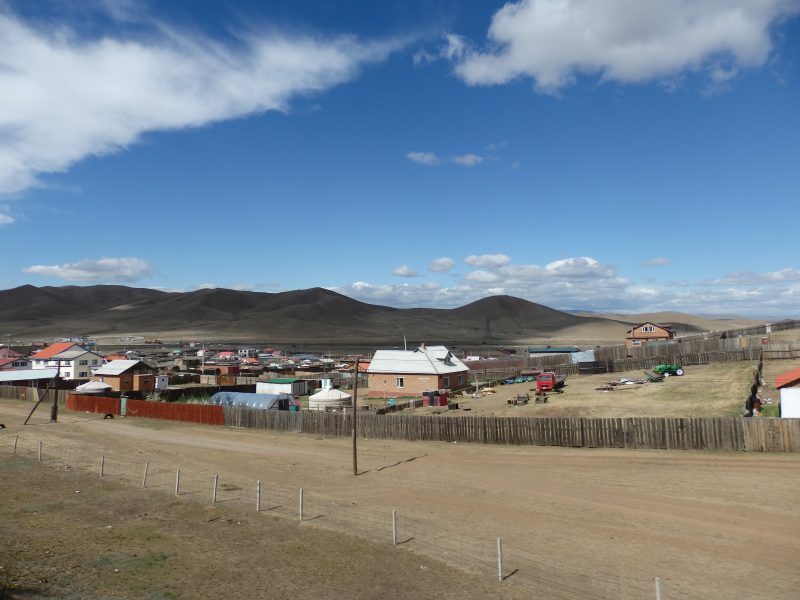 No Mongolian visa necessary for Singaporeans (14 days). Russian visa application procedures appears to have changed since the last time I applied. Visit here for more information. The railway felt safe in general. I was travelling alone, and didn’t feel threatened at any point. There were also a few other solo travellers (men and women). It’s still better to keep a close watch on belongings, though. 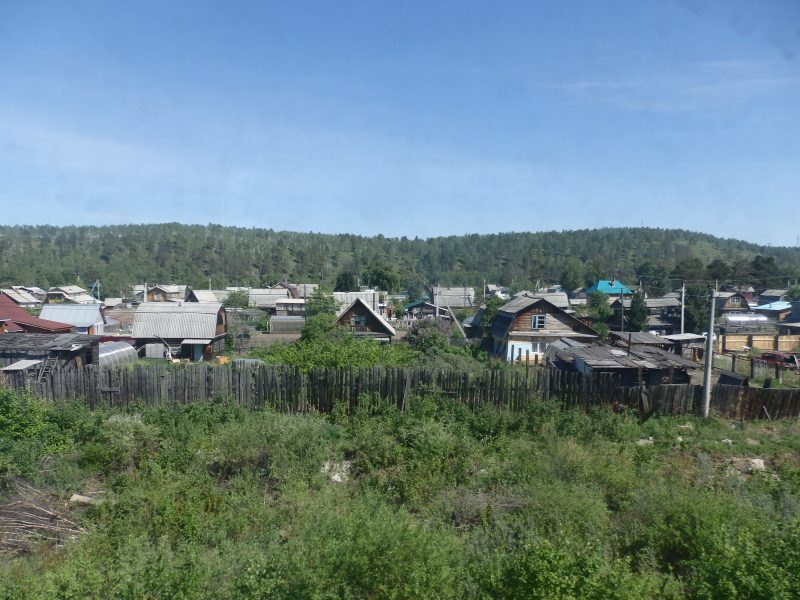 I got a SIM card while I was in Irkutsk, but it’s probably possible to get it anywhere else. Connection was spotty in between cities, but near to cities it’s possible to get connected. Great for Google Translate, to be able to ‘communicate’ with locals on the train, although rather insufficiently. Might be good to bring along slippers, small reading lamp, luggage lock, earplugs/blindfold (if needed), wet wipes, and lots of stuff to entertain yourself. Time zones are kinda confusing, as the train passes through quite a few time zones. Schedules in Russia are provided in Moscow time. Hi, really enjoyed your blog. I am also planning a similar trip to you but from London to Bali (and possibly Australia) overland. So I will be going the other way. Some really good tips on what to take on the train though. I found you through Matt;s course :-). My blog is still in development but check it out in a few weeks. Hey! I really love this article. It looks like you had a wonderful journey. This route is on our travel list too. It’s good to see you added the prices for the trips. I thought it would be much more expensive. Thanks for sharing!